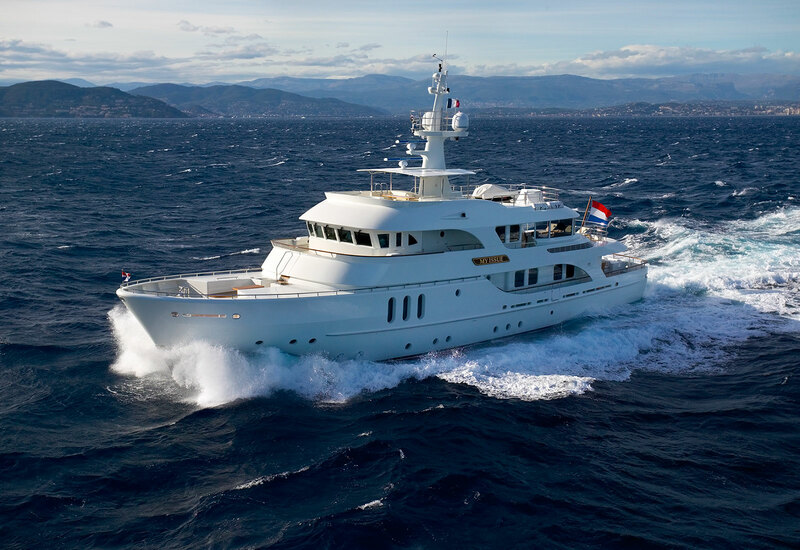 Motor Yacht BELUGA (ex MY ISSUE II) is a spectacular yacht that was custom built by Moonen in 2006 to the owner’s specific specifications, she features naval architecture by Stolk Marimecs BV and is 34,7m (113,10ft) in length. 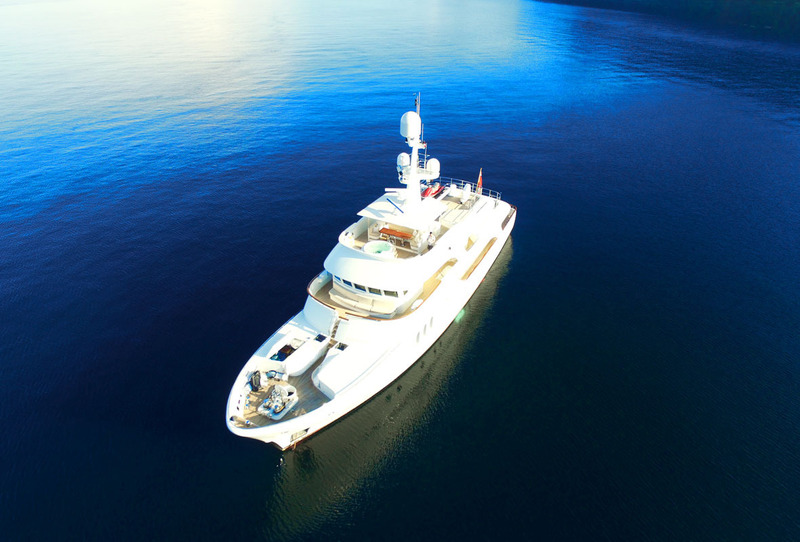 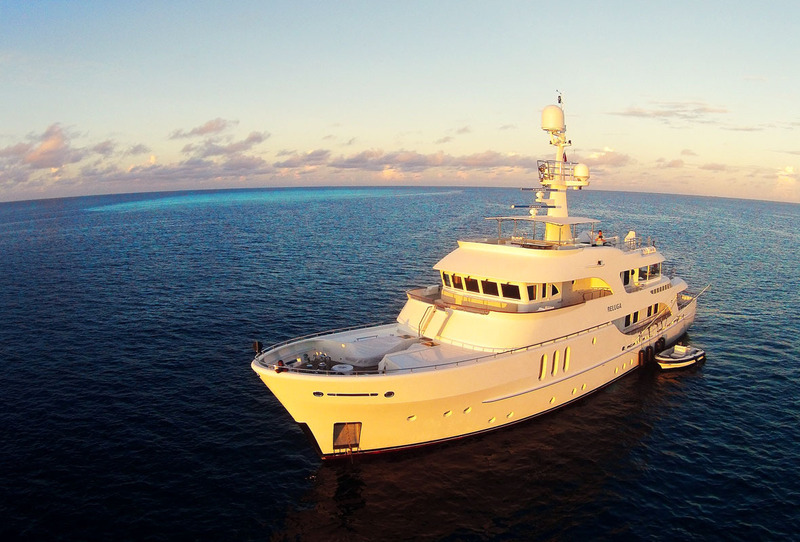 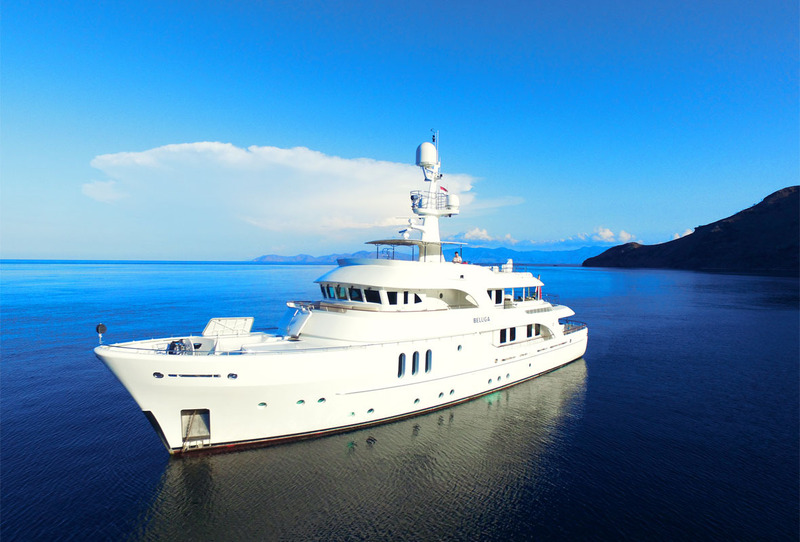 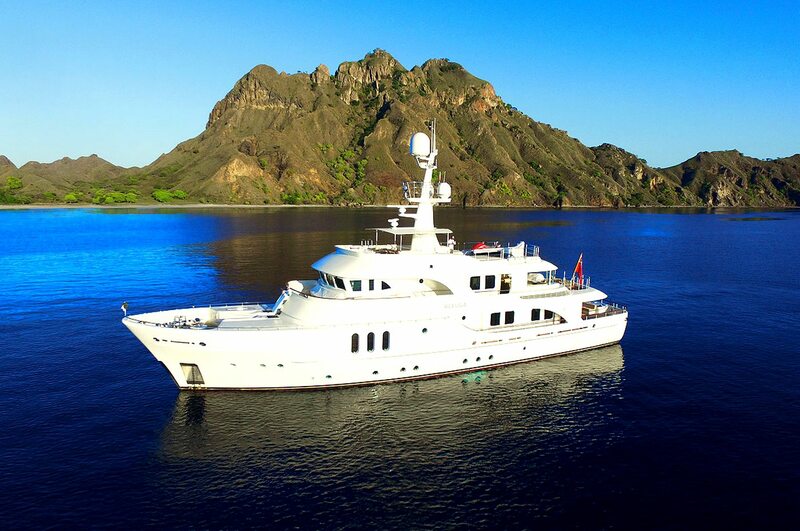 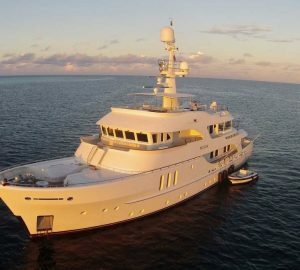 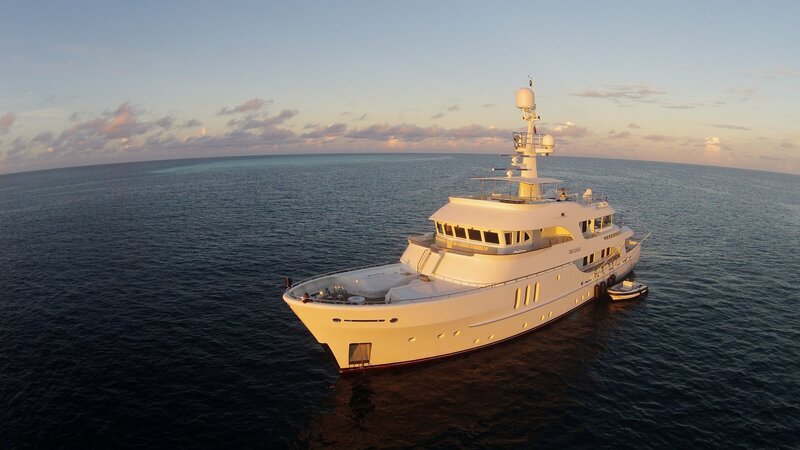 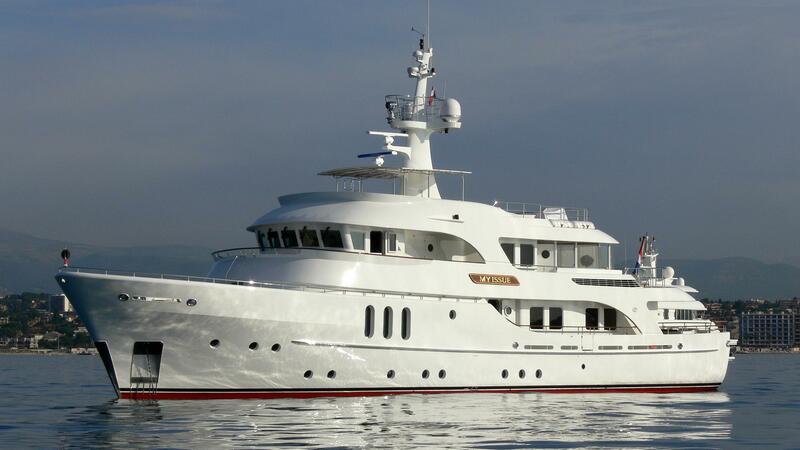 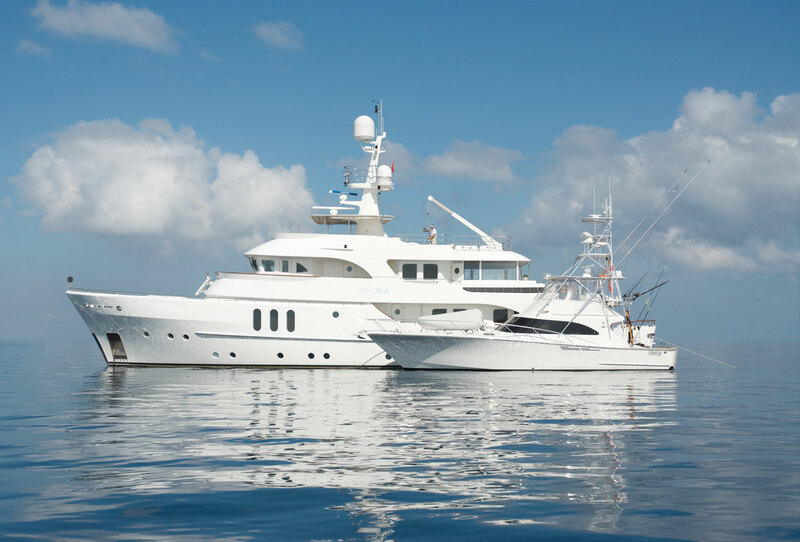 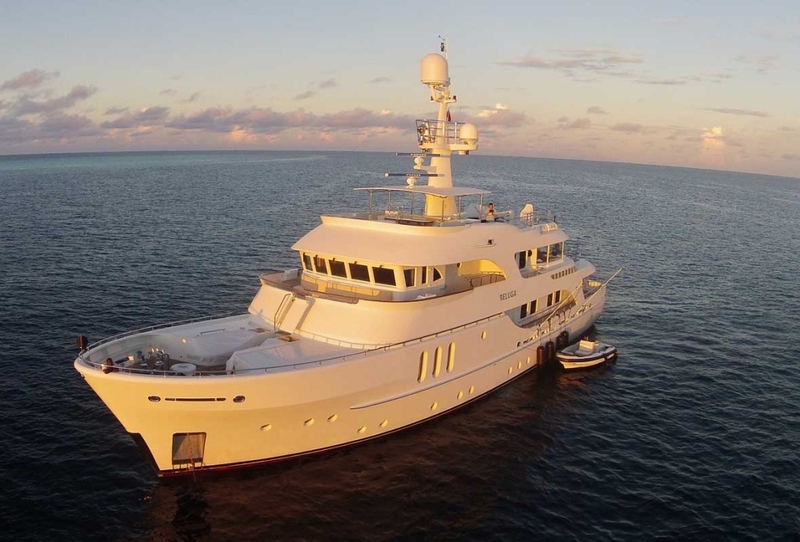 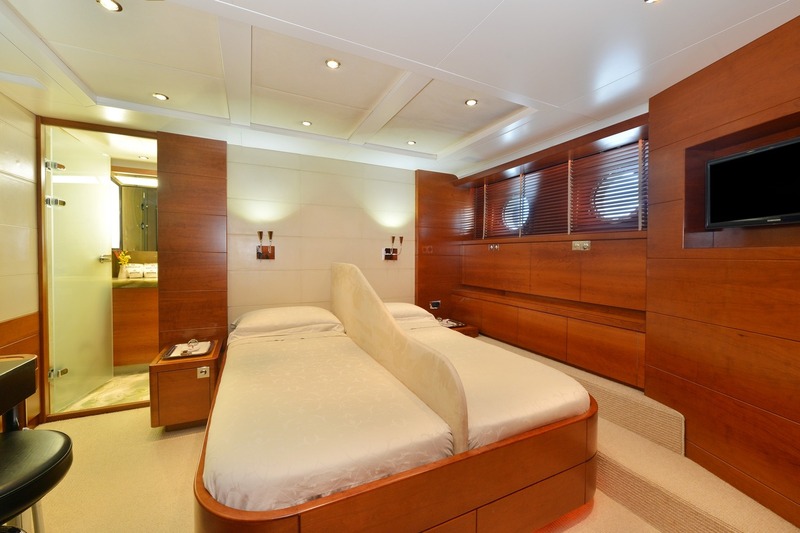 The yacht underwent an extensive refit in 2011. 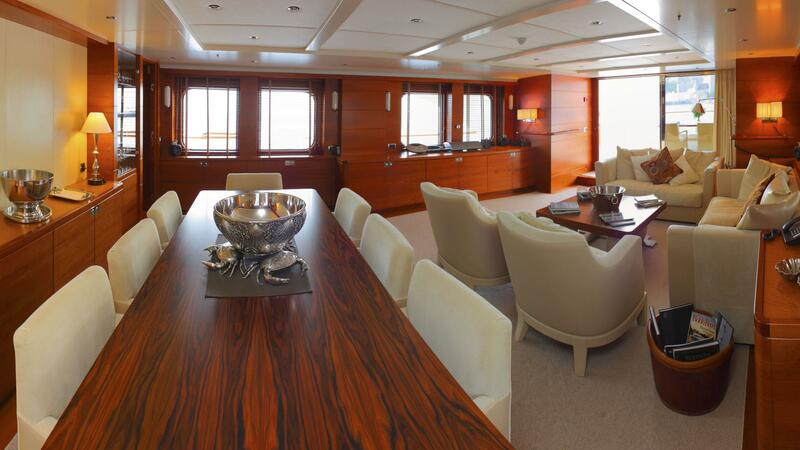 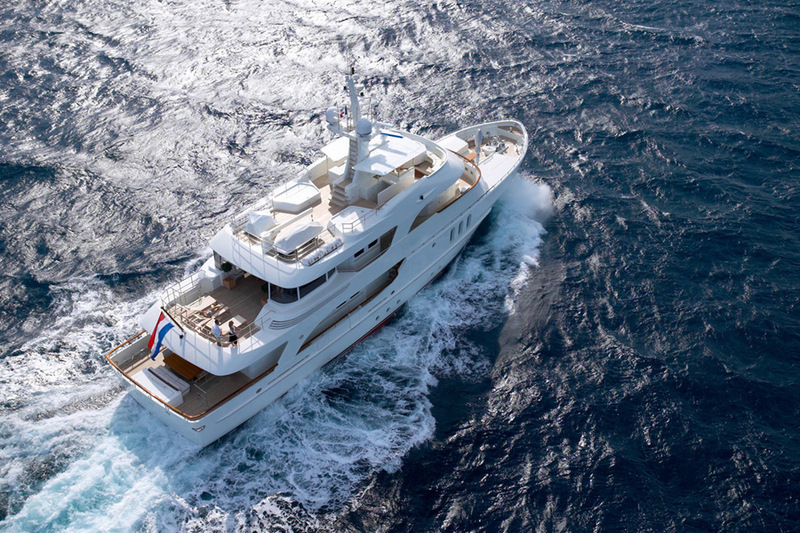 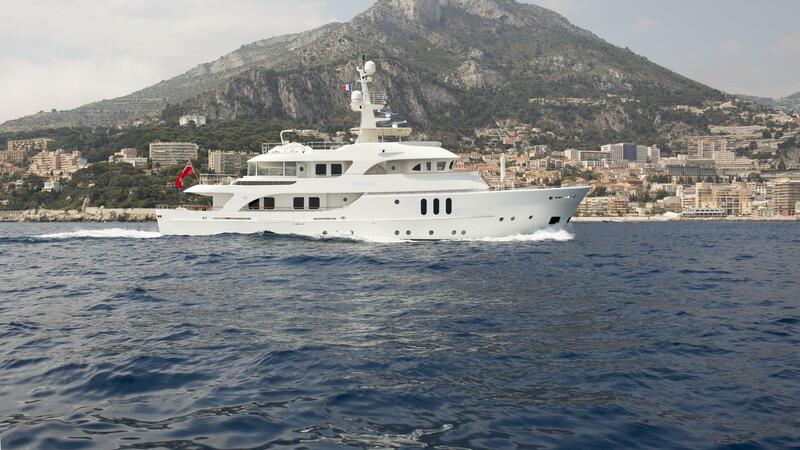 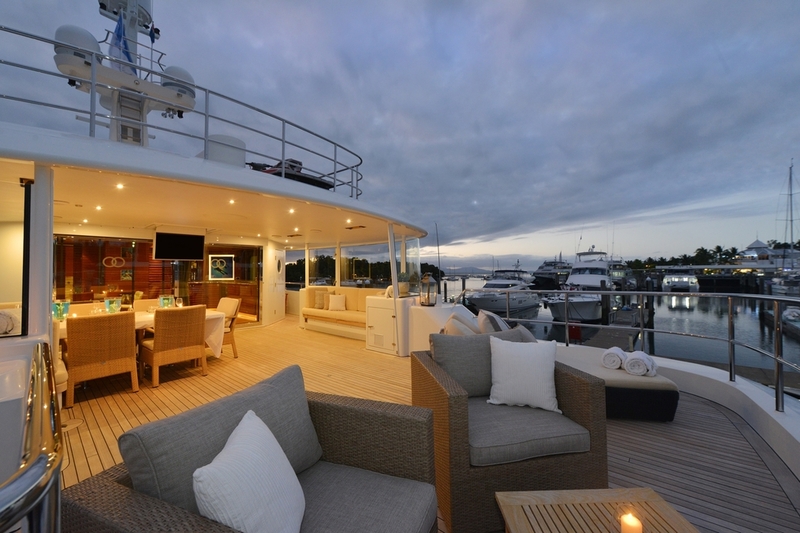 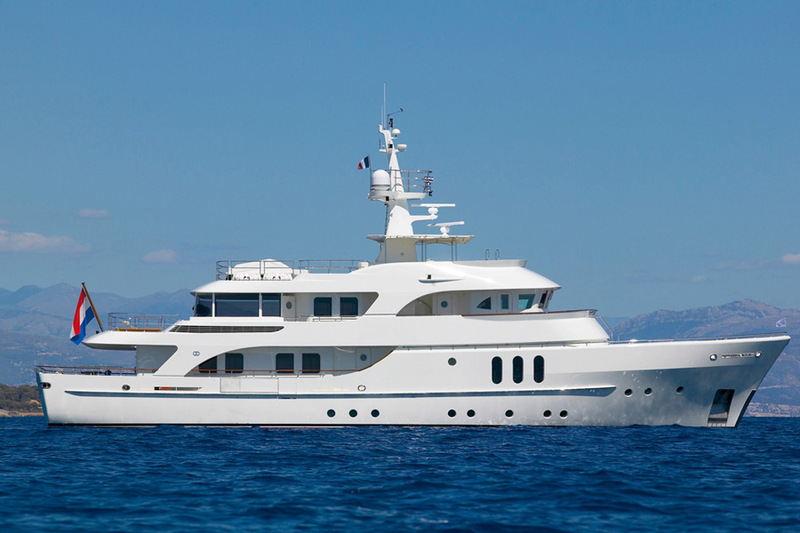 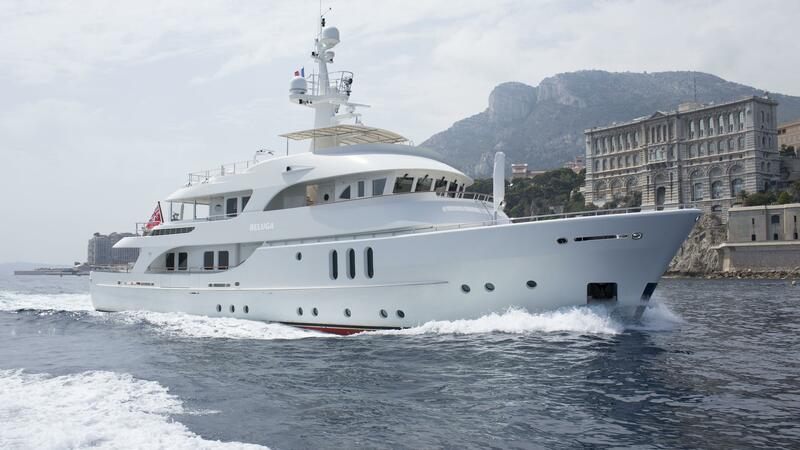 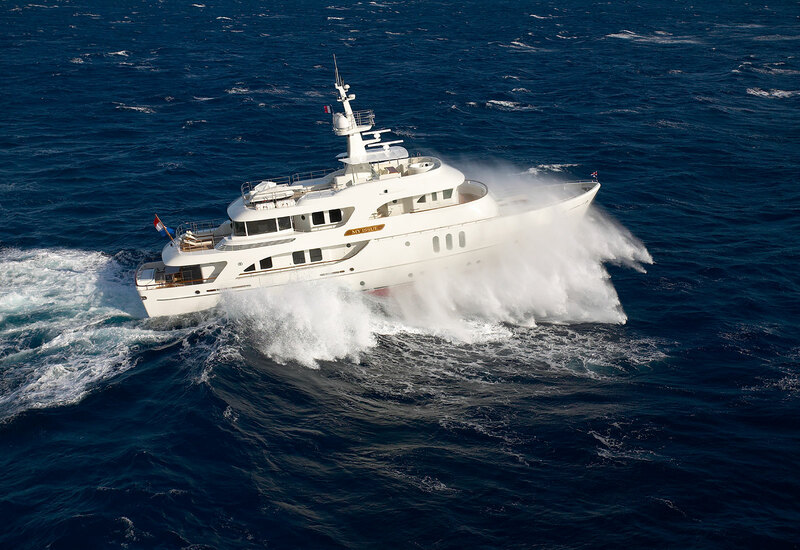 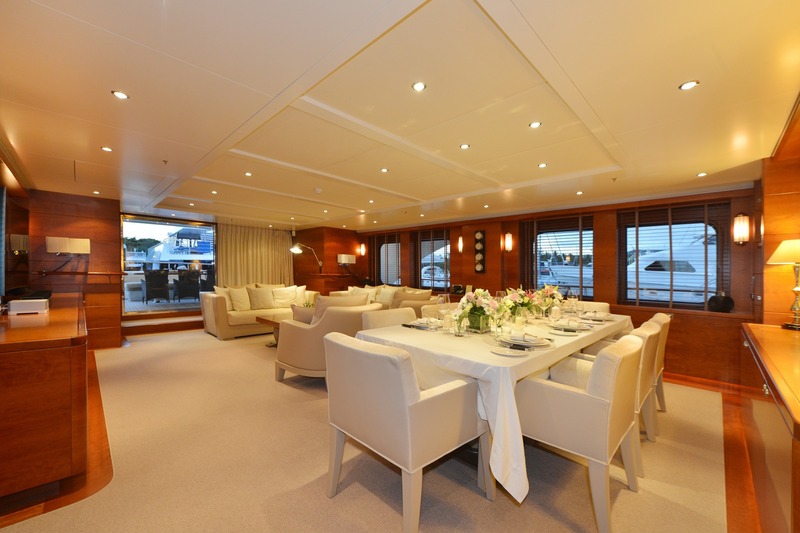 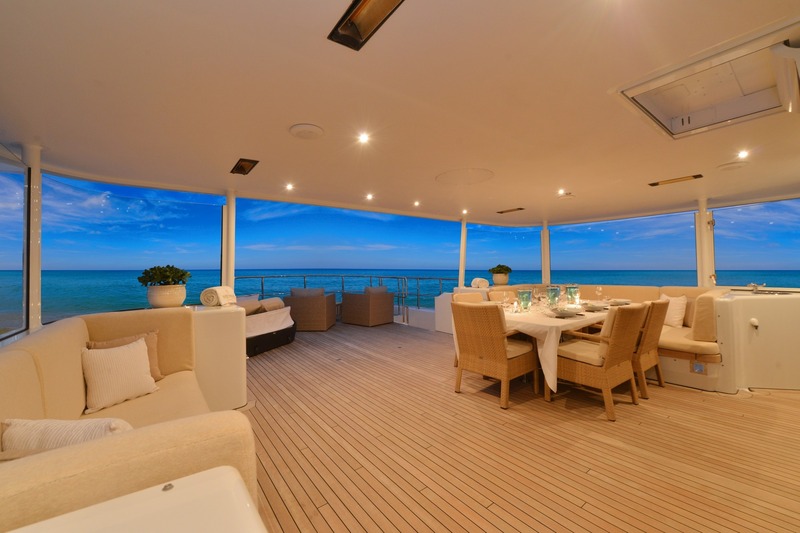 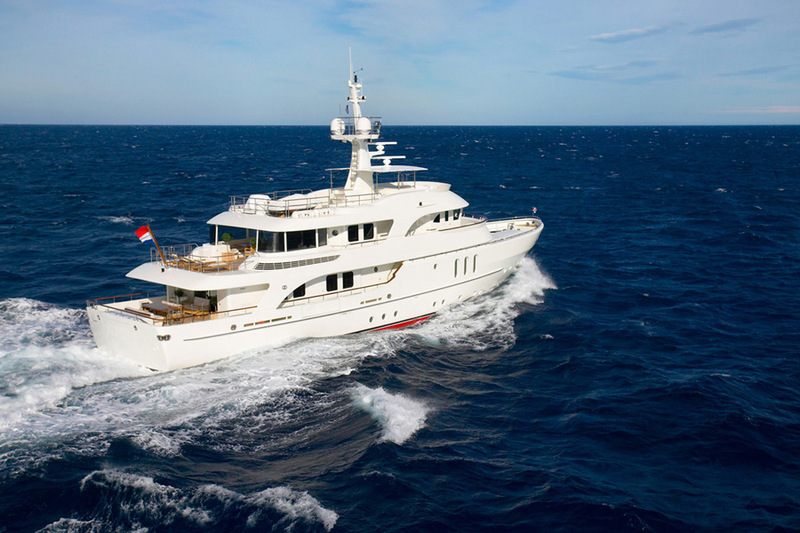 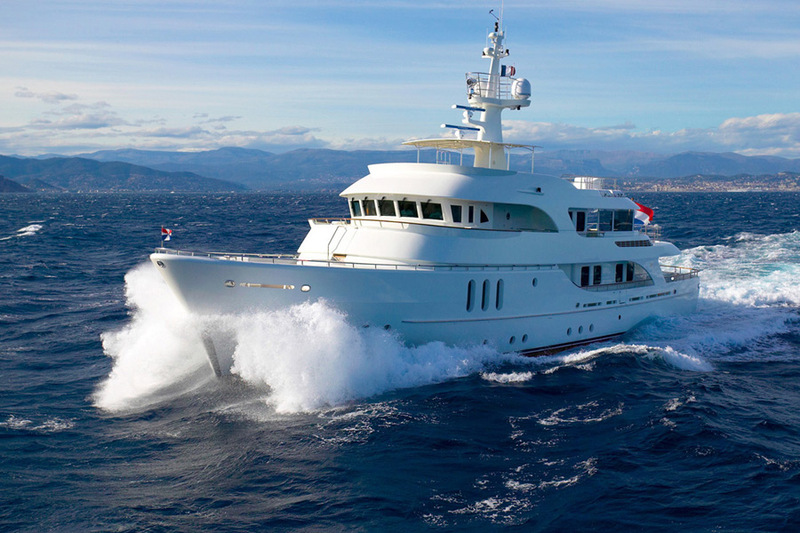 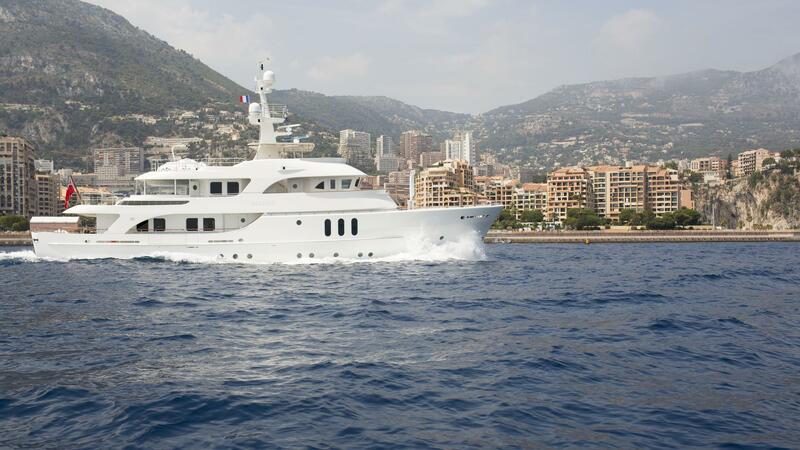 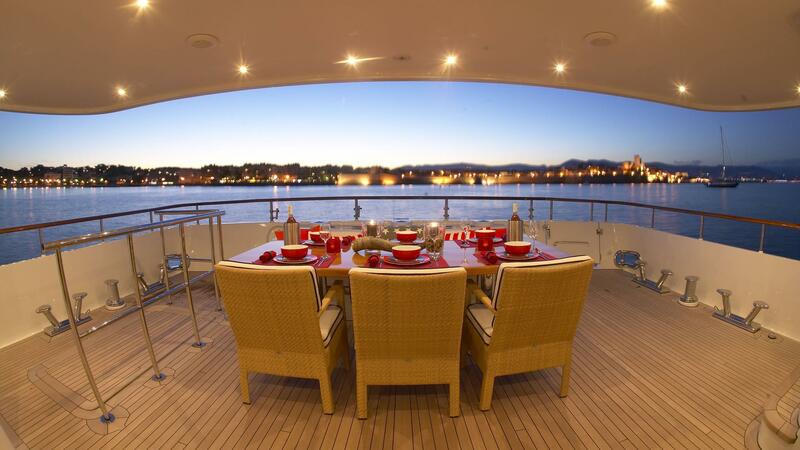 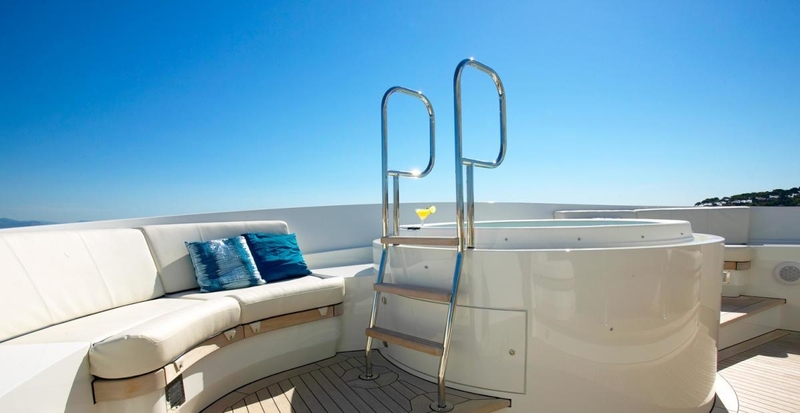 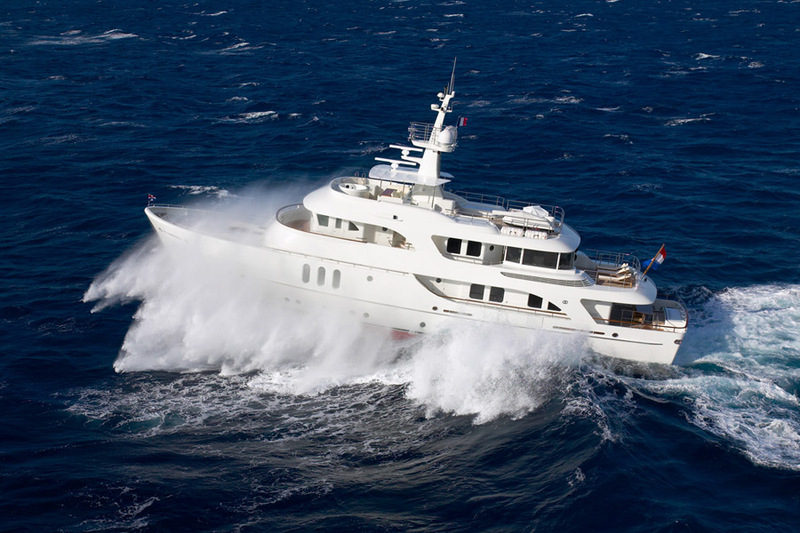 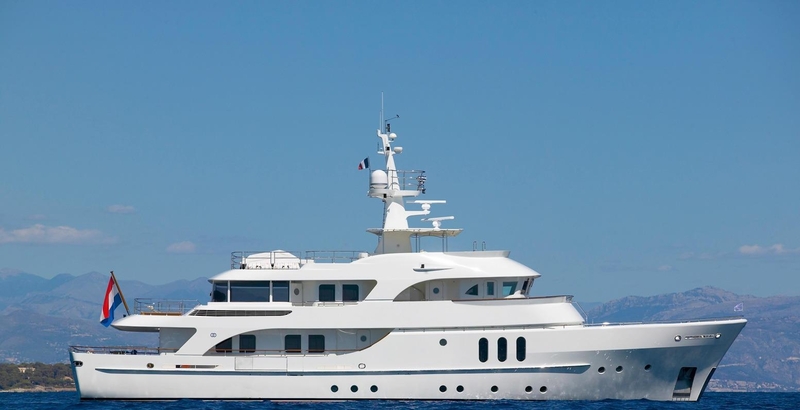 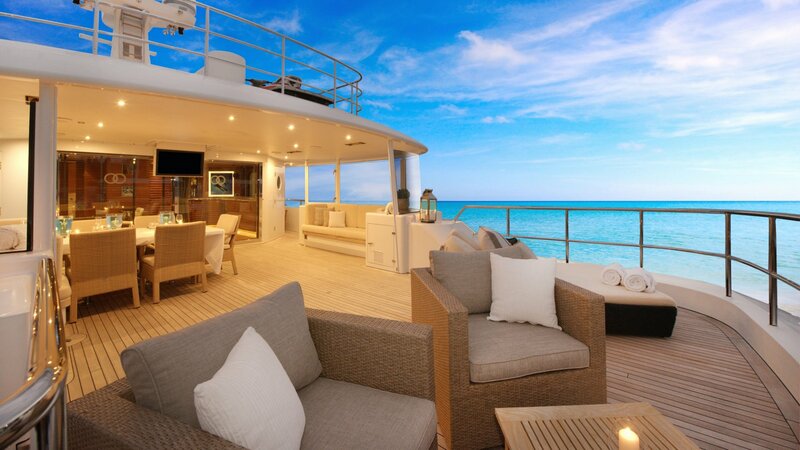 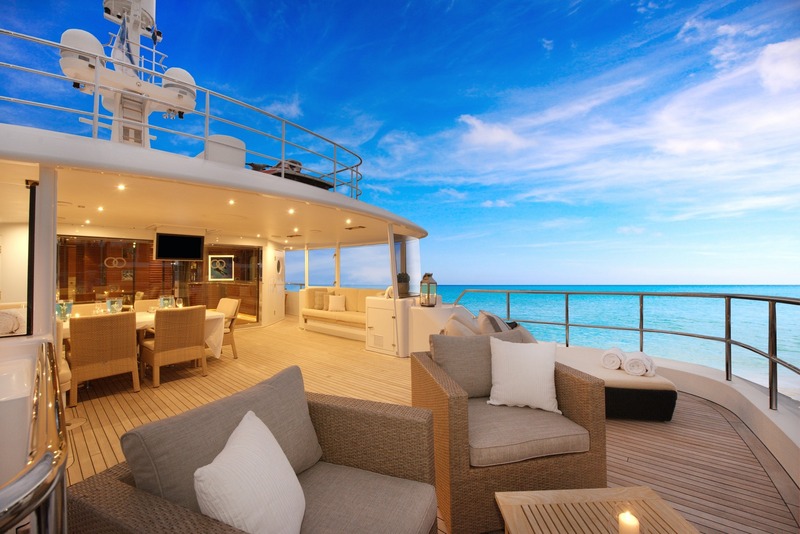 She offers a timeless interior décor by Rene van der Velden Yacht Design, with plenty of areas to relax and socialize. 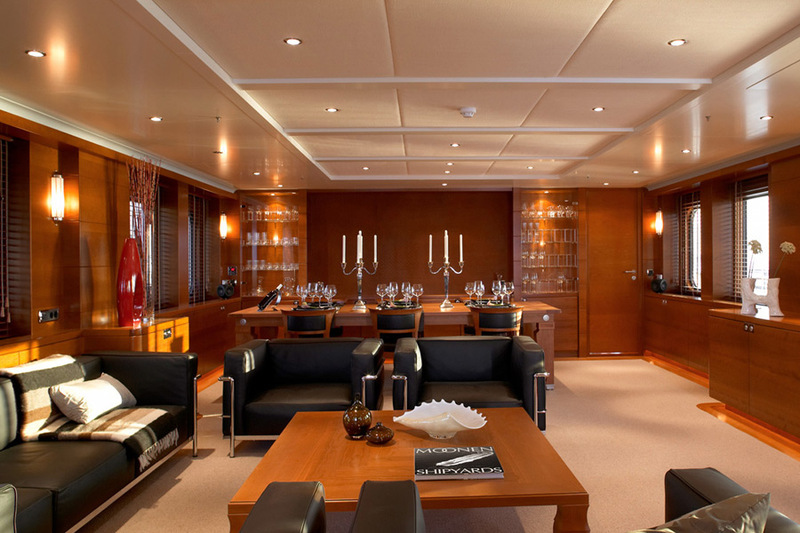 The salon is set in a contemporary open plan, offering a sumptuous lounge aft and formal dining forward. 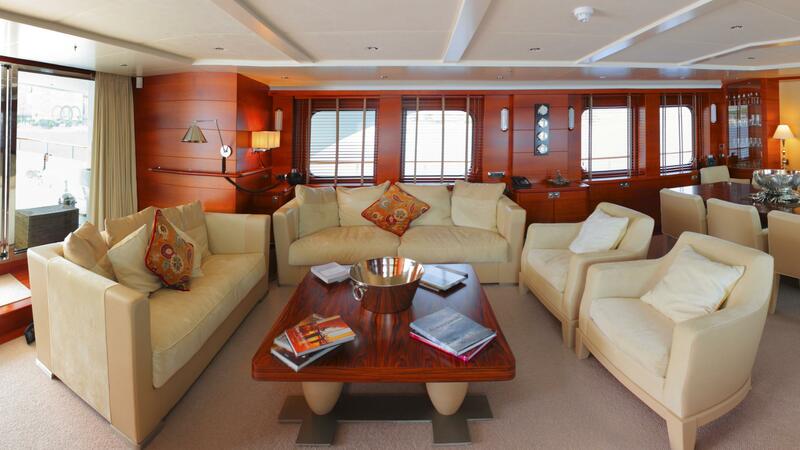 Use of neutral toned soft furnishings and warm wood panels create a welcome ambiance. 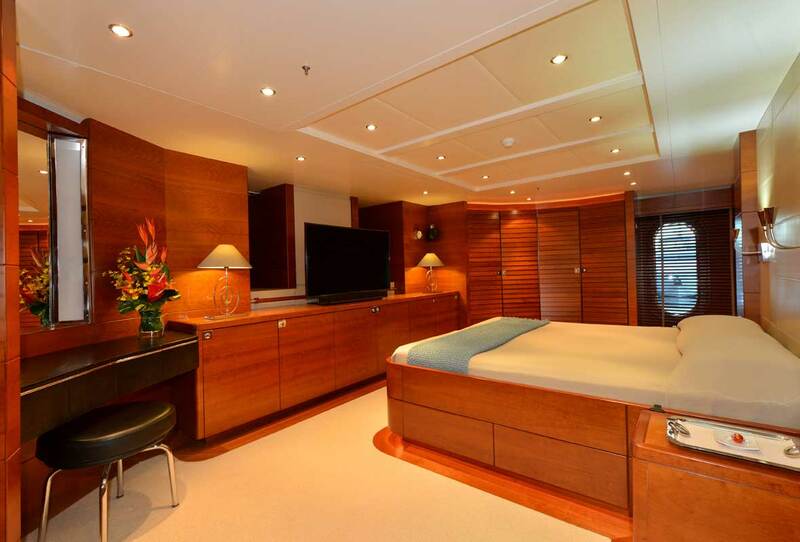 Her full-width master cabin on the main deck has an office on entrance, plentiful wardrobe space, a large bathroom with bath and double shower and underfloor heating. 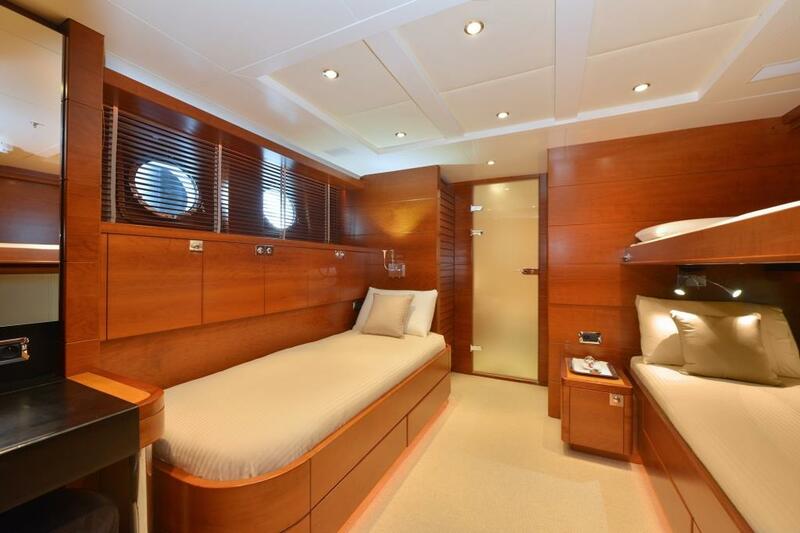 Below are four staterooms, two with double beds and two with twin beds, each with a Pullman bunk option. 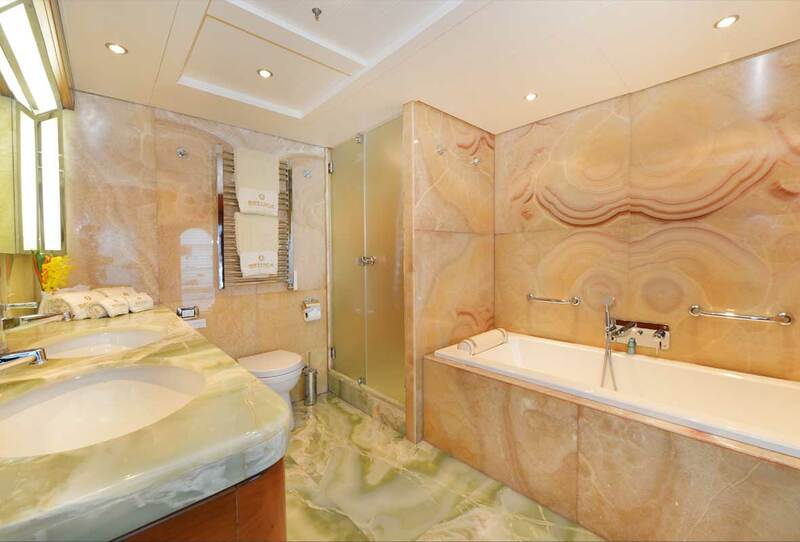 All bathrooms have floor heating. 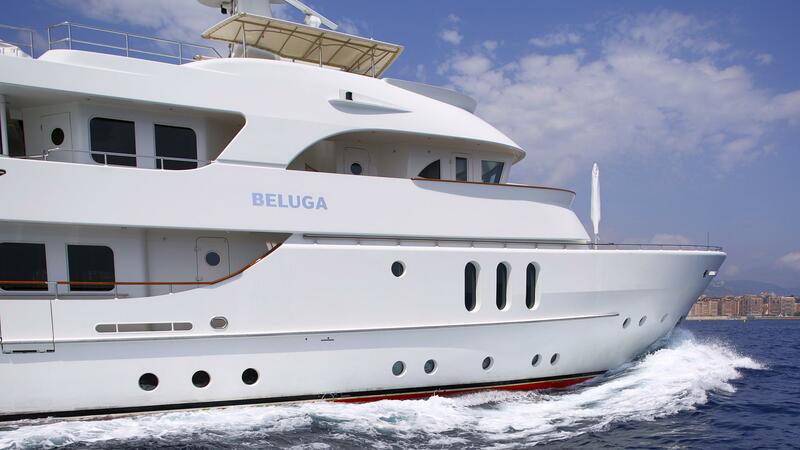 Motor yacht BELUGA can sleep a total of 12 guests. 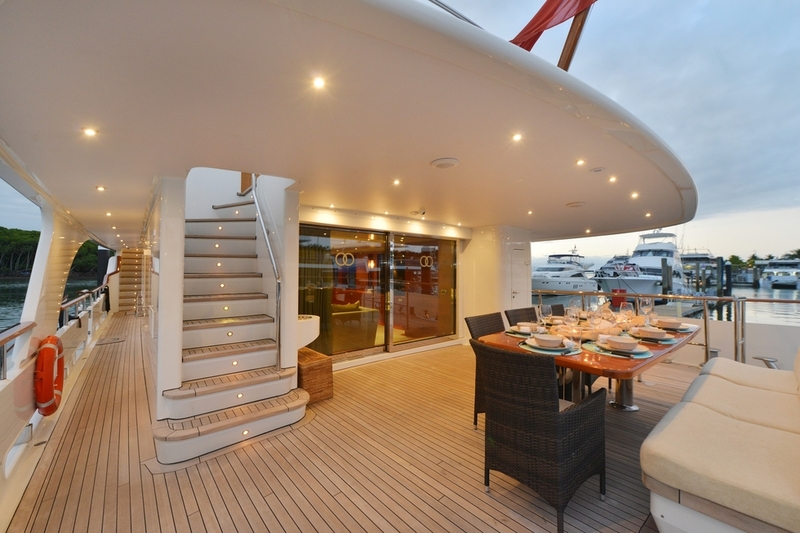 The exterior living is exceptionally well-appointed on 3 levels, plus a further crow’s nest. 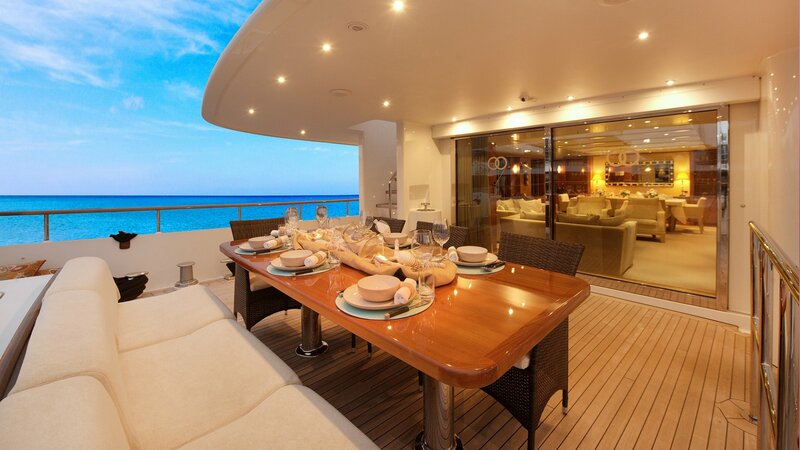 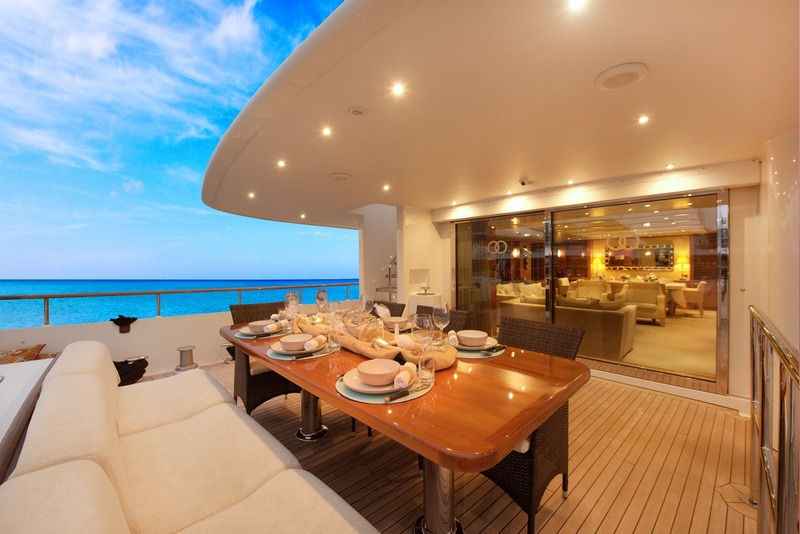 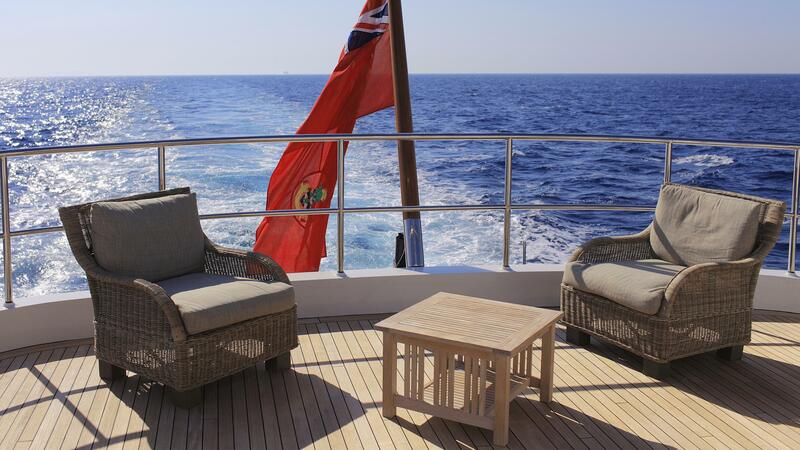 The main deck is adjacent to the salon offering an alfresco dining table and shade. 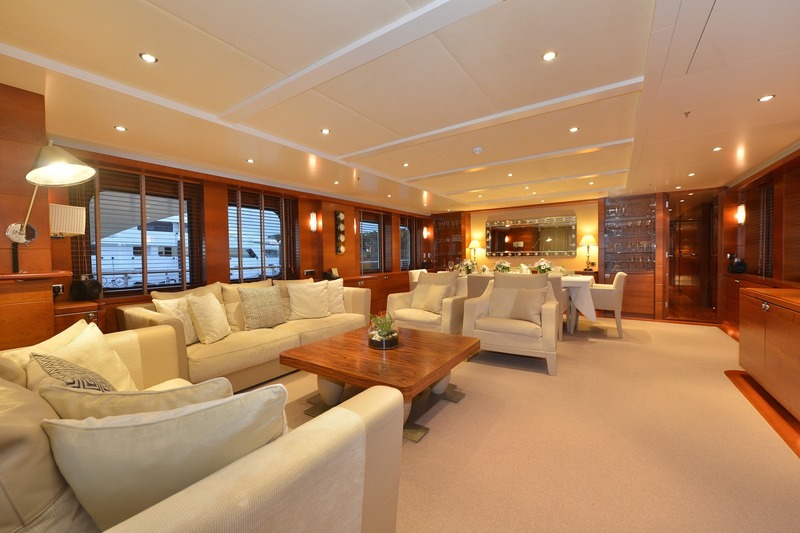 On the bridge deck, aft of the sky lounge is a partially enclosing area, followed by sun loungers aft. 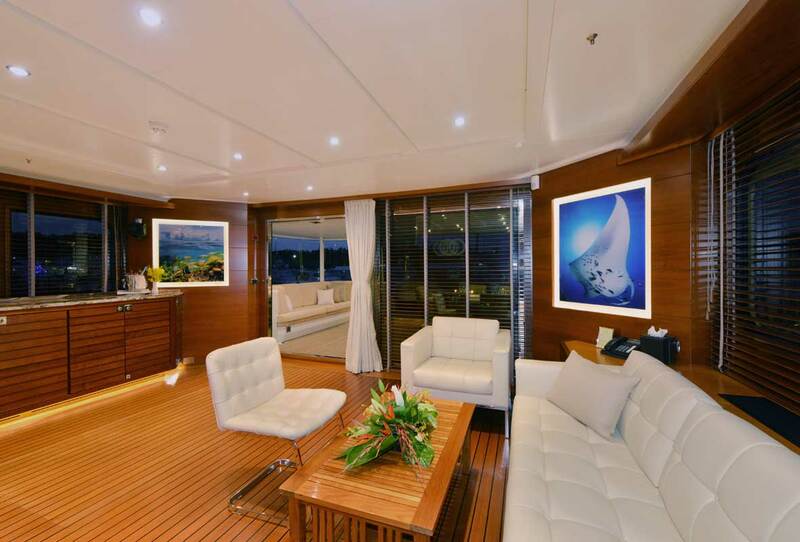 Forward on the bridge deck is a relaxing seating area. 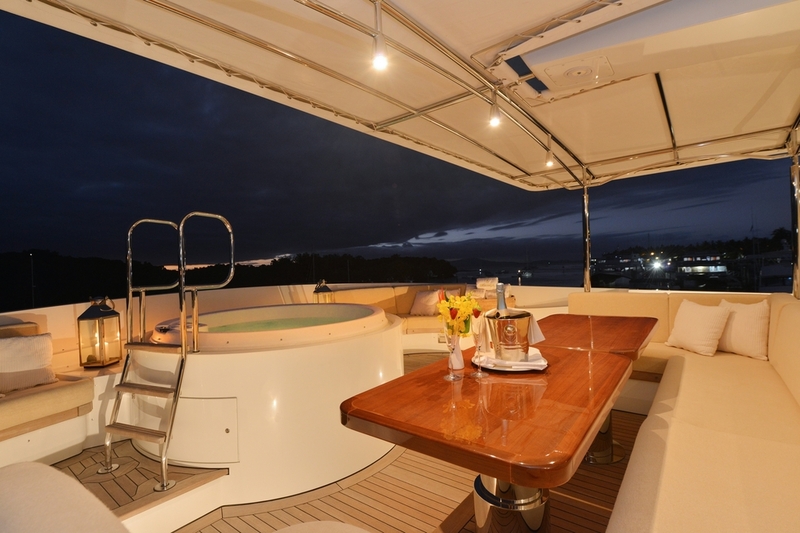 Her sundeck is the perfect gathering place and has a Spa Pool that is surrounded by ample sun pads, covered dining area as well as a bar and well-equipped BBQ area. 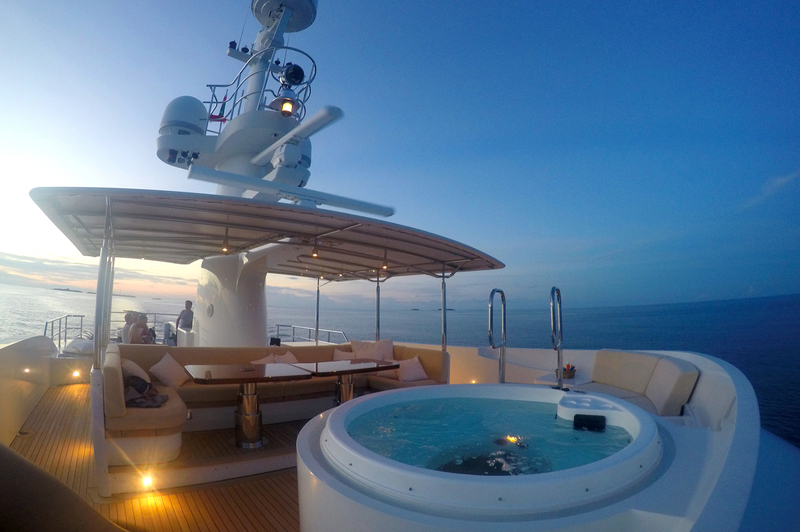 An easily accessible crow’s nest provides a perfect all-around viewing place. 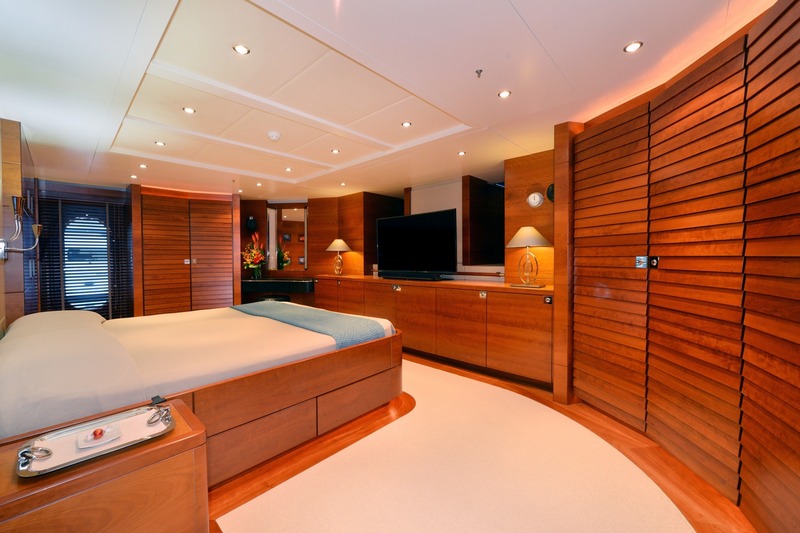 When onboard you would think that she was a much longer yacht, her five cabins are spacious and her well laid out design and decor are impeccable. 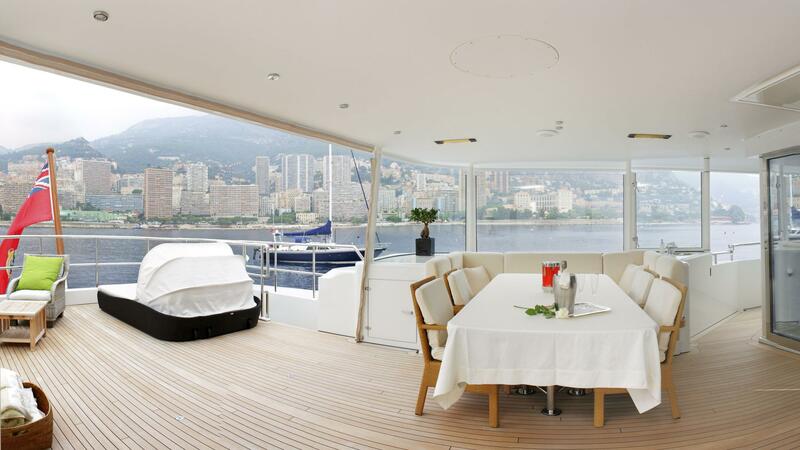 With zero speed stabilizers and Moonen's meticulous noise and vibration control BELUGA offers safety, space and comfort. 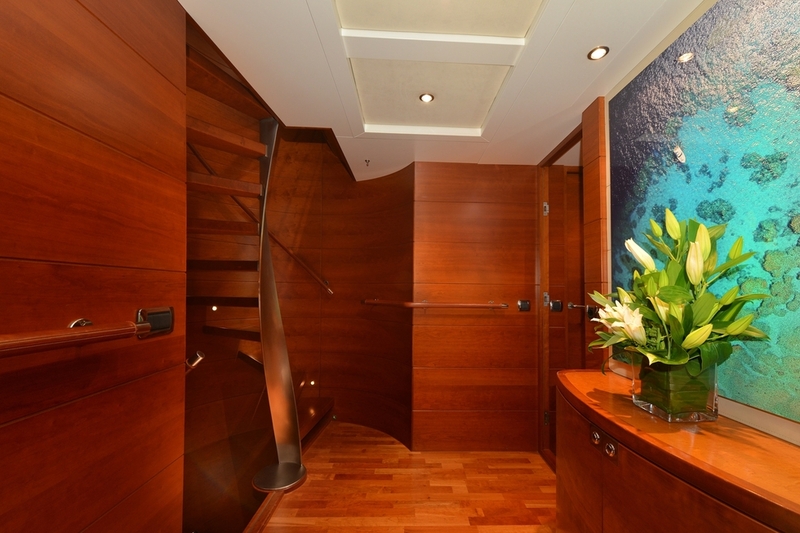 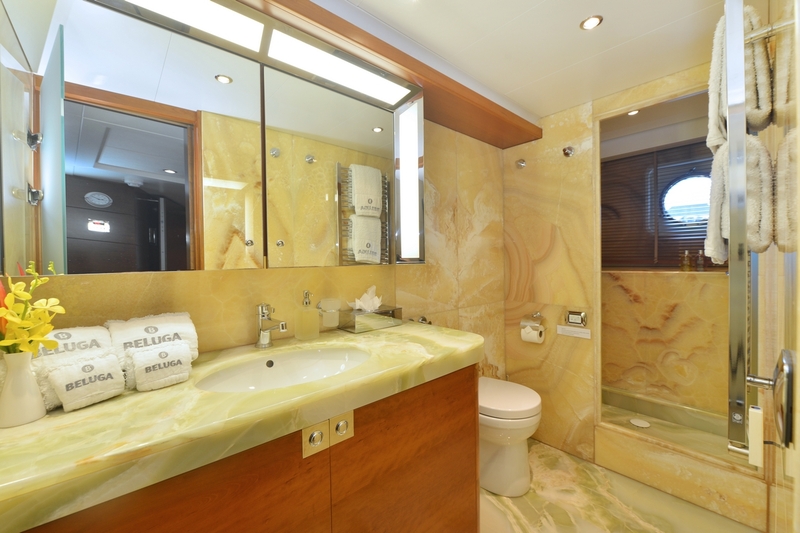 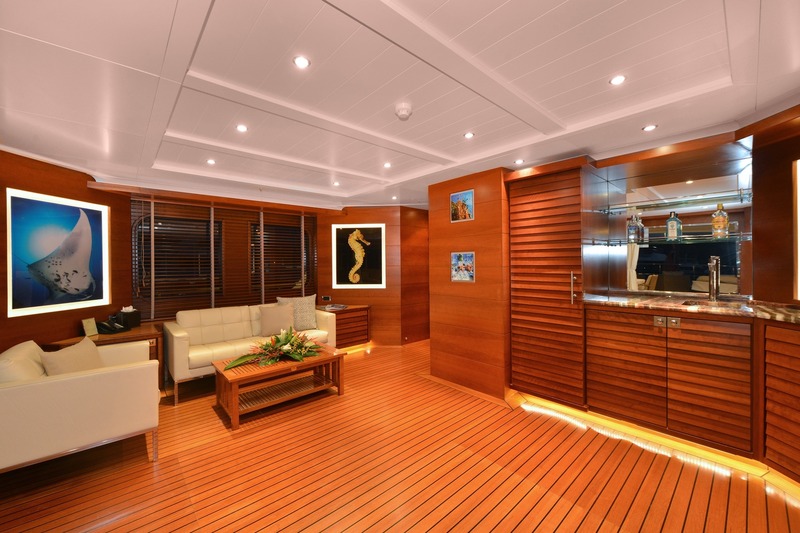 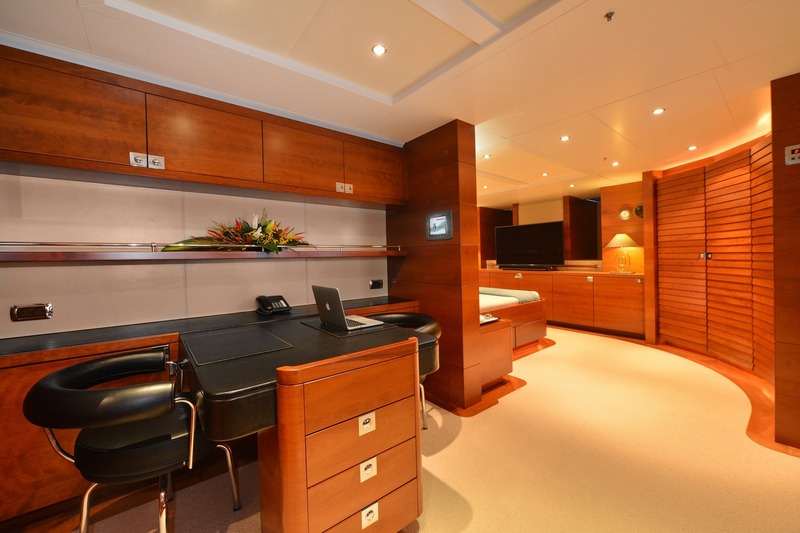 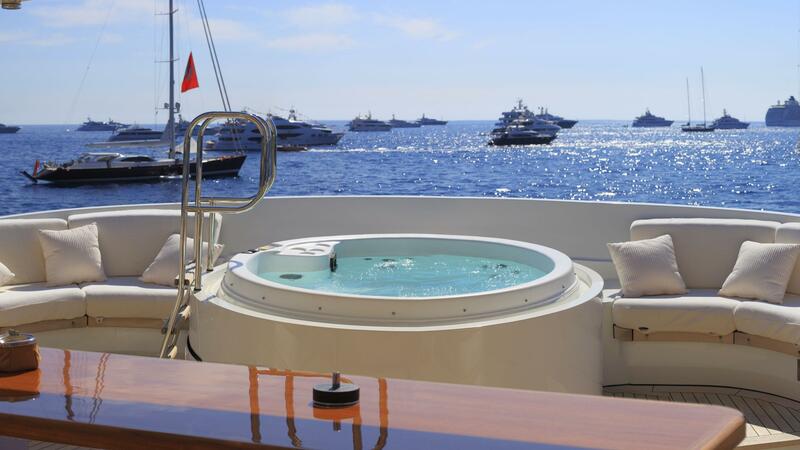 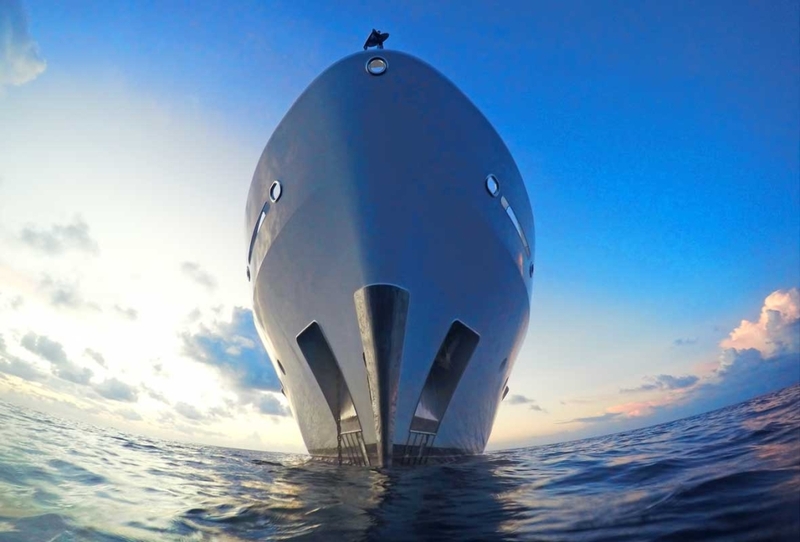 Accommodation onboard M/Y BELUGA: Forward on the main deck is the owner’s suite that has an office on entrance. 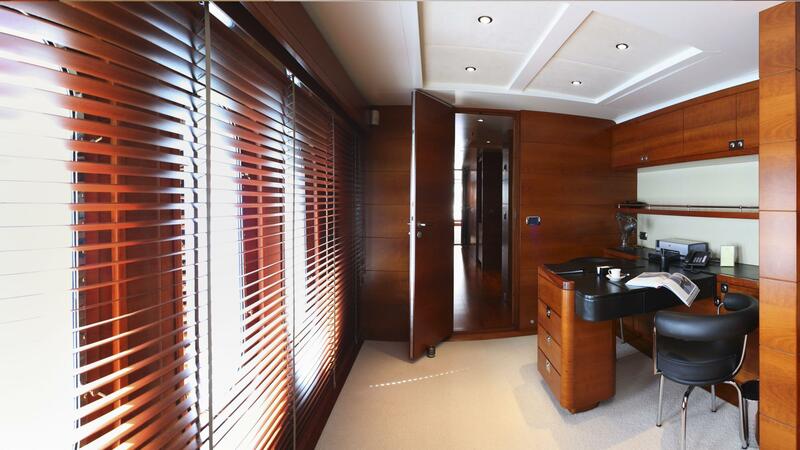 Spreading full beam there is plentiful wardrobe space and a large bathroom with bath, double shower and underfloor heating. 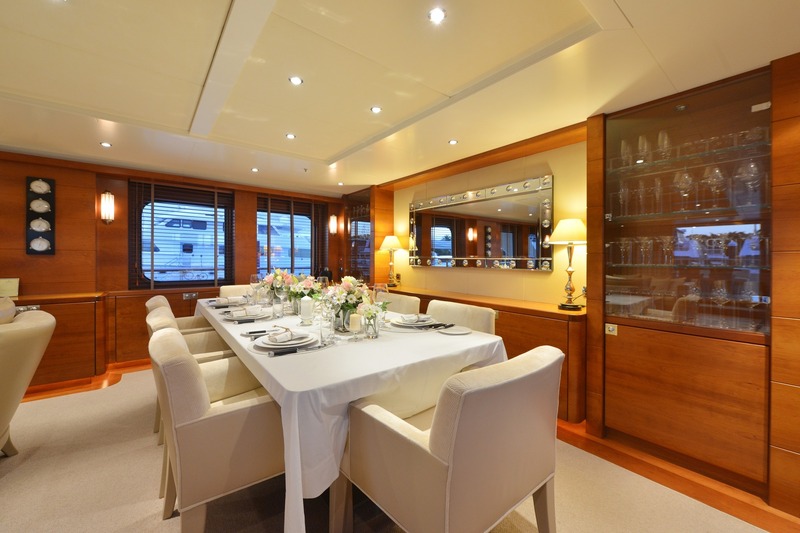 Below are four guest staterooms, 2 double and 2 twins each with a Pullman, sleeping a total of 12 guests. 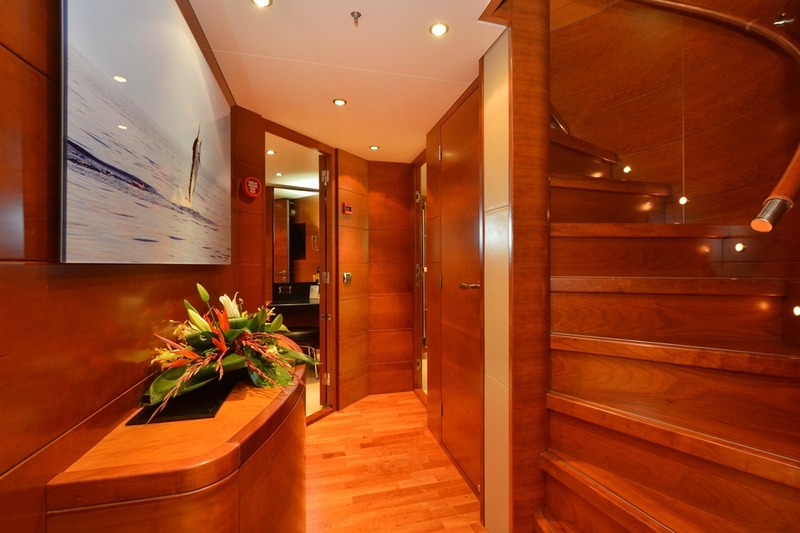 All cabins have plentiful storage space and bathrooms with underfloor heating. 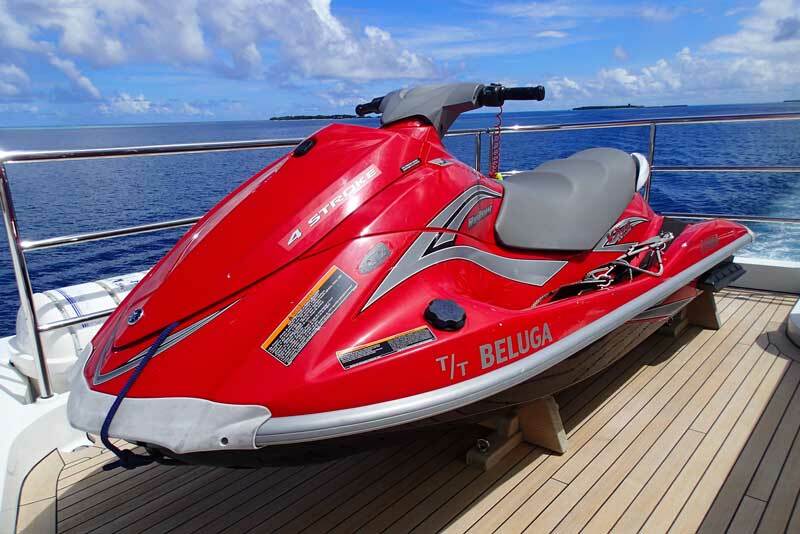 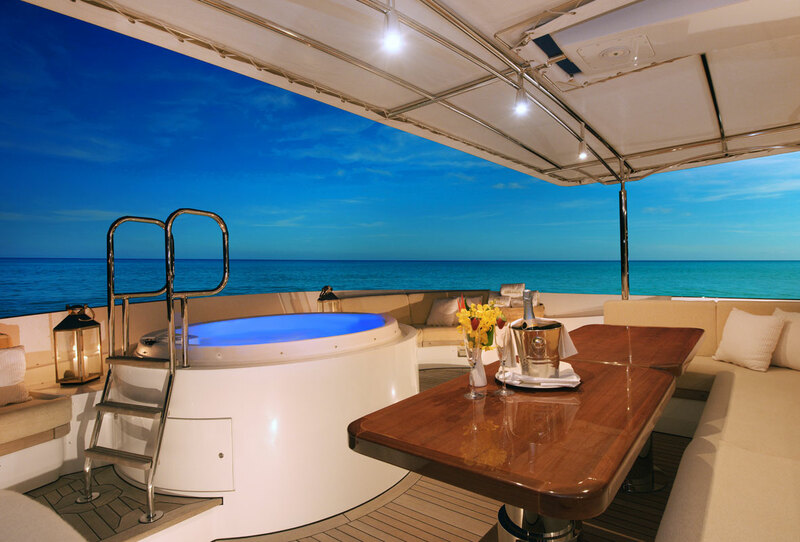 BELUGA yacht is fully equipped with tenders and a large range of water toys. 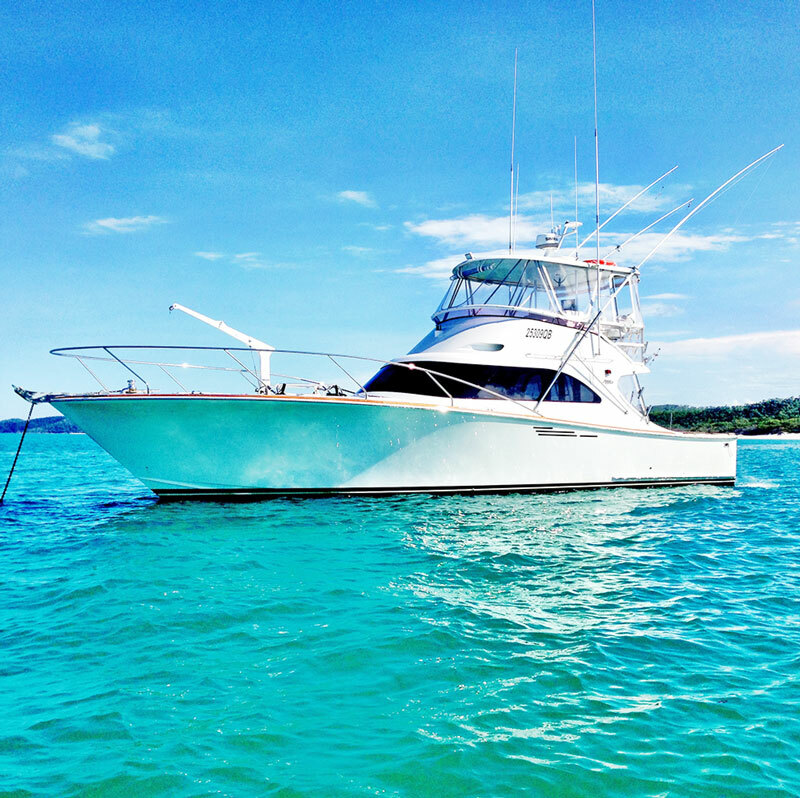 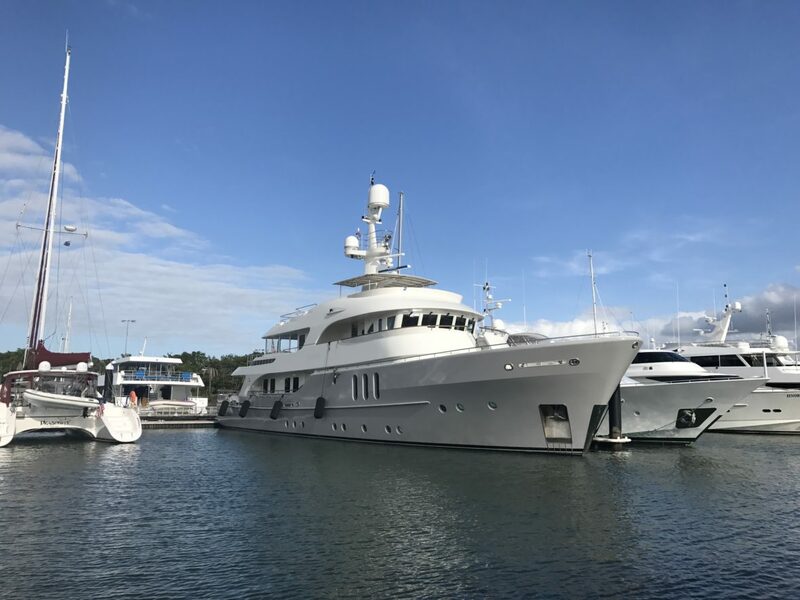 Tenders & Toys: BELUGA operates with her own 40ft Assegai built chaseboat fully equipped for all types of fishing, scuba, snorkelling which is included in the standard charter fee. 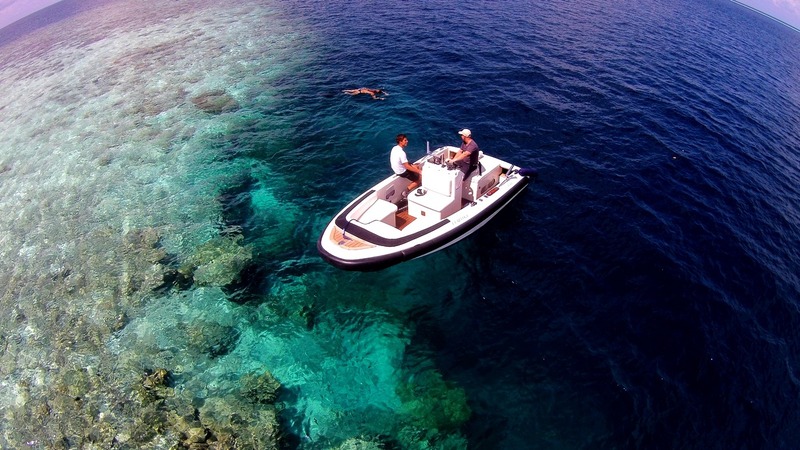 1 x Tender 4.3m Swift Mirage RIB 60hp 1 x Yamaha Waverunner VX 110 Scuba equipment including 14 x shorties wetsuits (adults and children), 14 x masks and snorkels, 12 x pairs of fins DIVING The Owner's wife is a very avid diver (up to 4 dives a day) Diving gear including dive compressor with unlimited tank fills (additional equipment can be hired) 9 x BCDs (buoyancy control device) 16 x Bottles 9 x Octopus Rigs All fishing gear Waterskis, wakeboard, donut, banana 2 x SUP 2 x Kayaks Gym equipment: Yoga mats, bench press chair with dumbbells Jacuzzi (6 pax) Chaseboat included in weekly charter, with her dedicated crew. 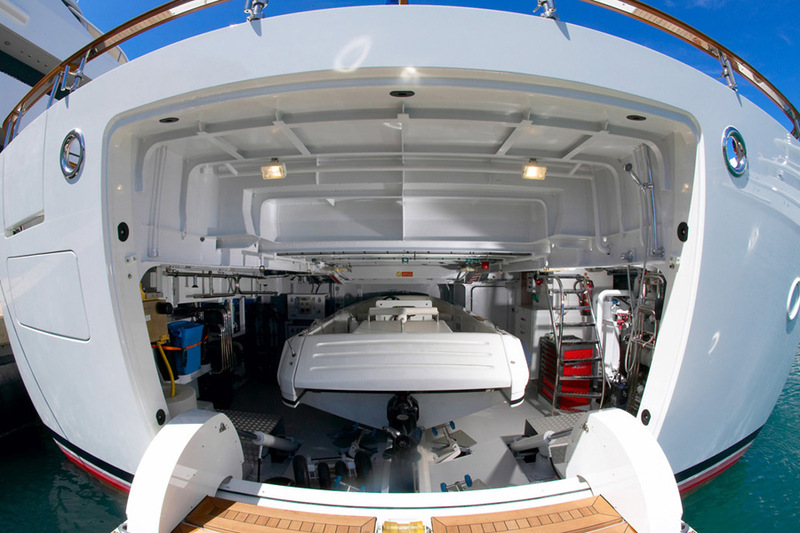 Fuel comes out of the APA. 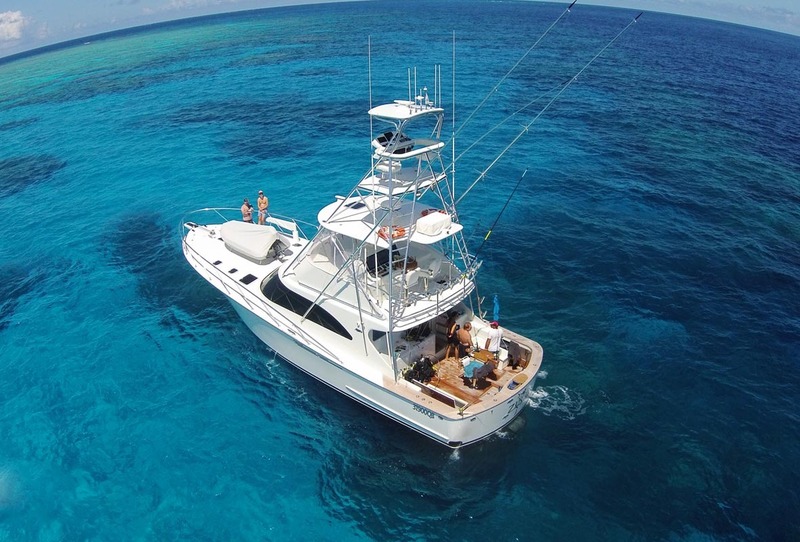 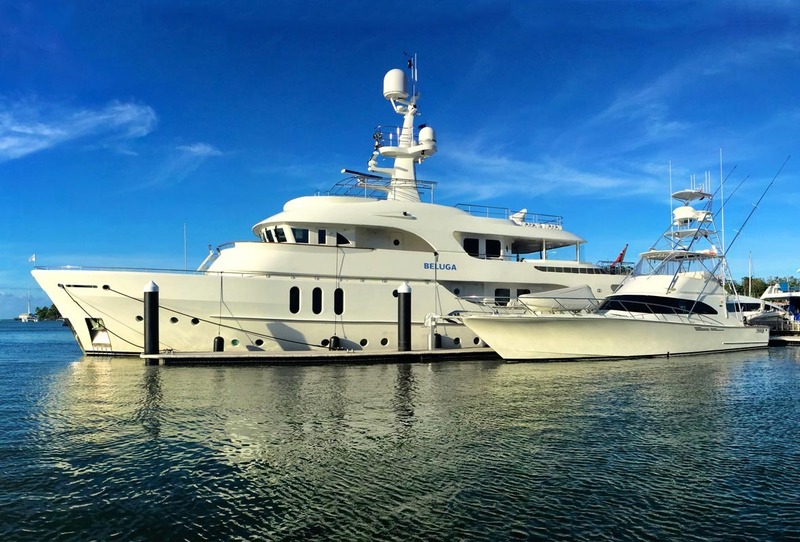 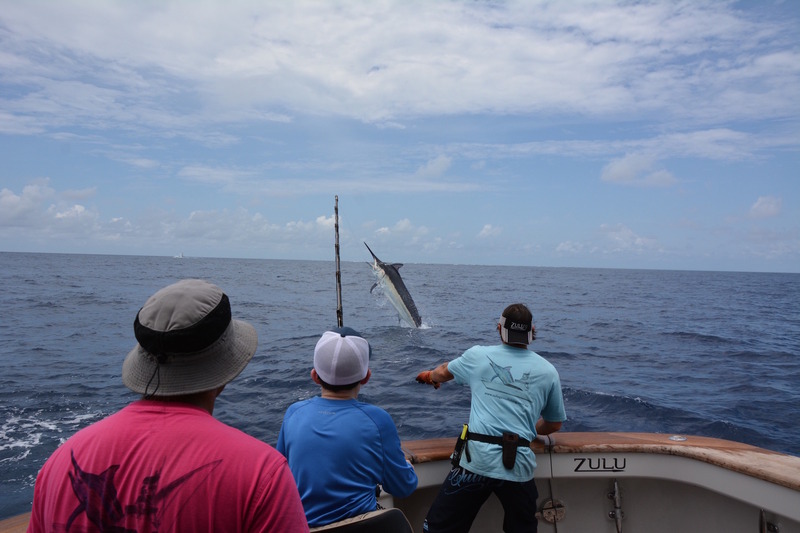 ZULU is a 54ft Assegai, custom built game fishing vessel which was launched late 2014. 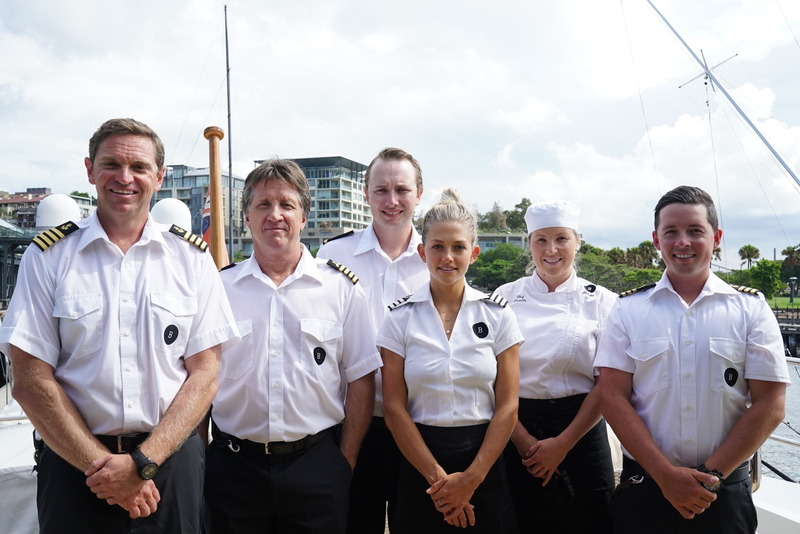 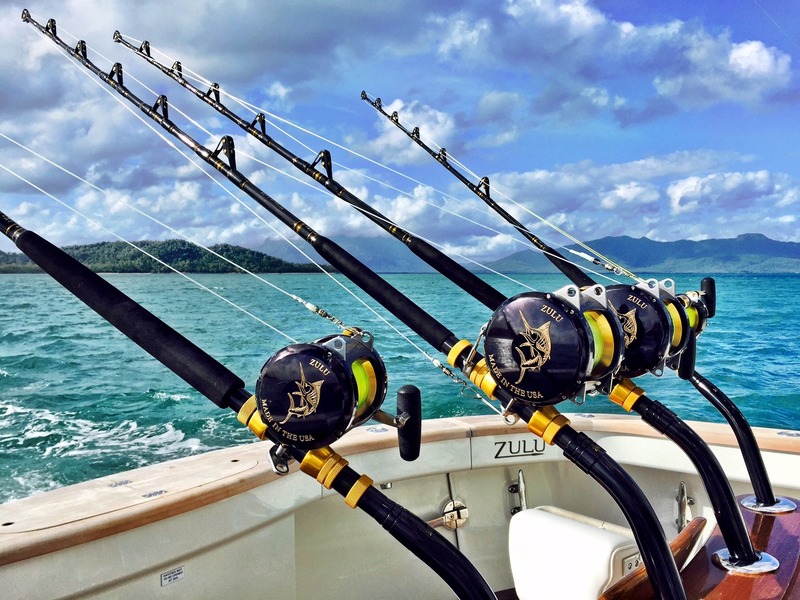 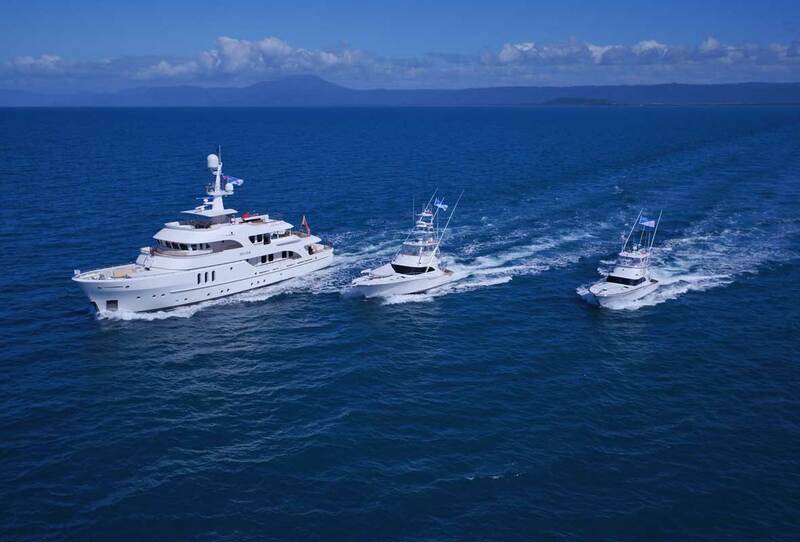 ZULU is the most technologically advanced game boat to hit the waters of Australia thus far. 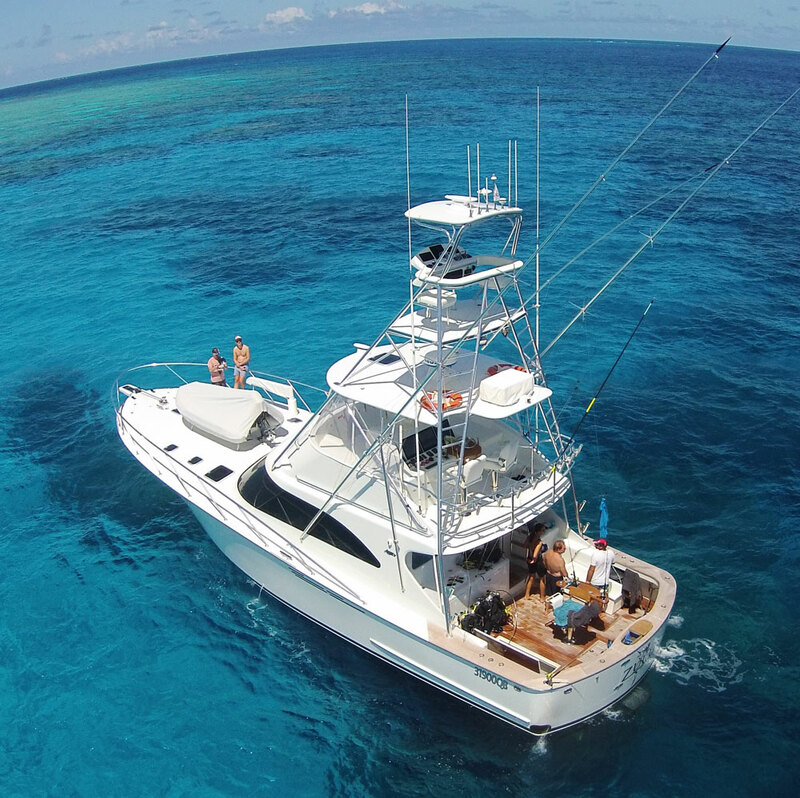 Fishing setup: She boasts a Seakeeper gyro, Furuno omni-directional sonar, three wetfaced keel mounted transducers connected to the new Furuno chirp sounder system as well a Furuno 1150 sounder with a widebeam transducer. 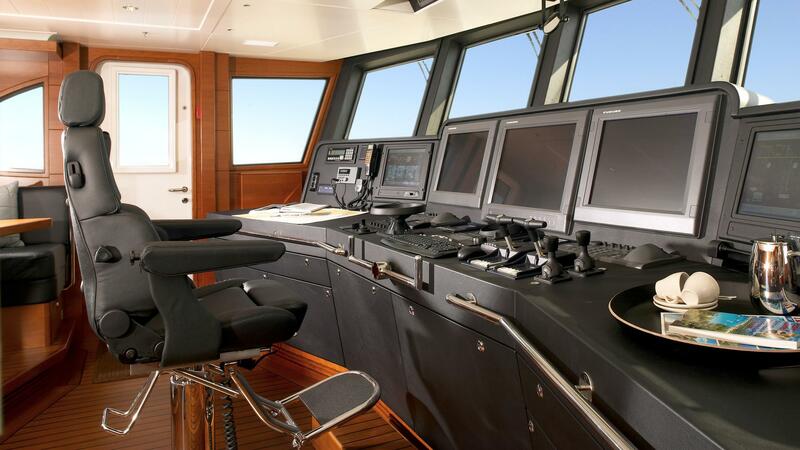 Zulu also features the Twindisc Express Joystick system which smoothly and simultaneously actuates and controls engines, transmissions, propellers and thrusters, which can hold the vessel in any fixed position, crab the boat diagonally or straight sideways and rotate it 360° on its axis. 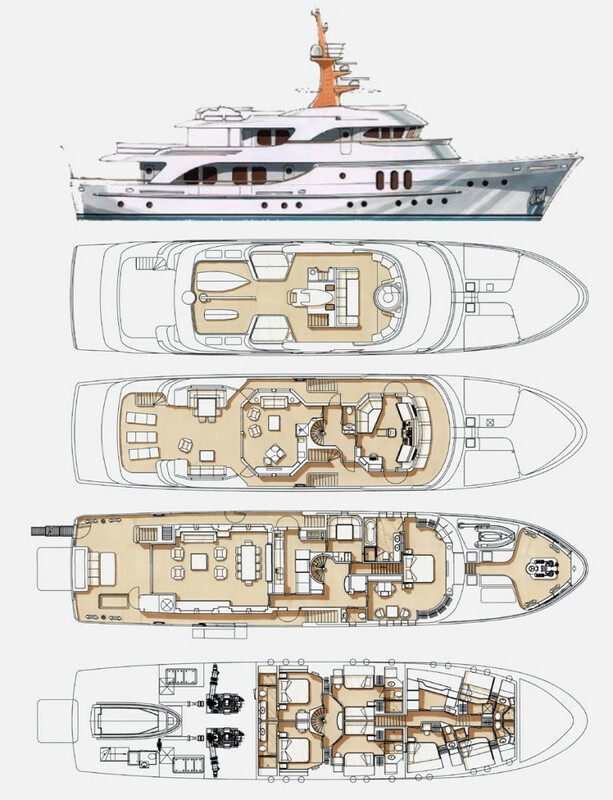 The yet-to-be-named express is a 40ft Assegai, custom built express-style sports cruiser, currently under construction and launching in late 2016. 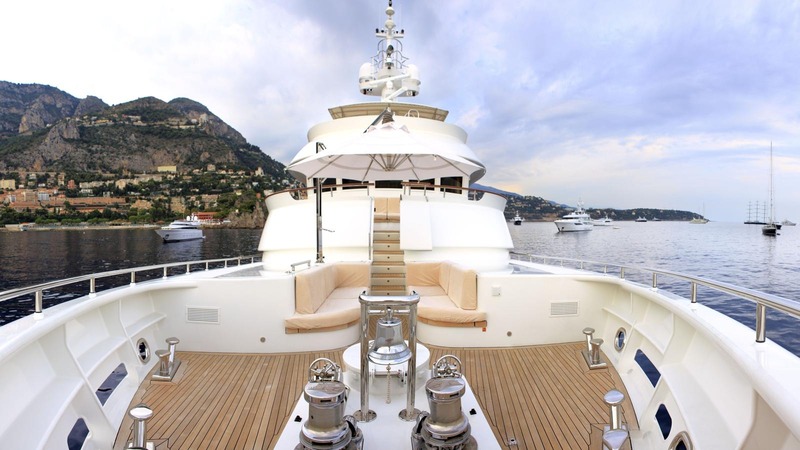 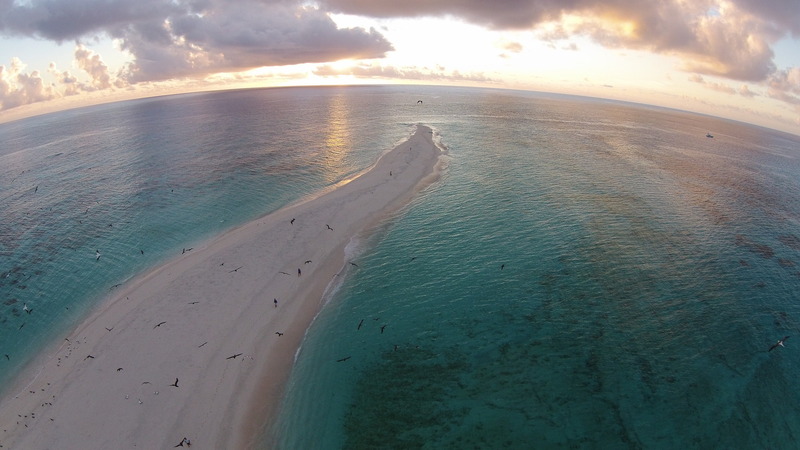 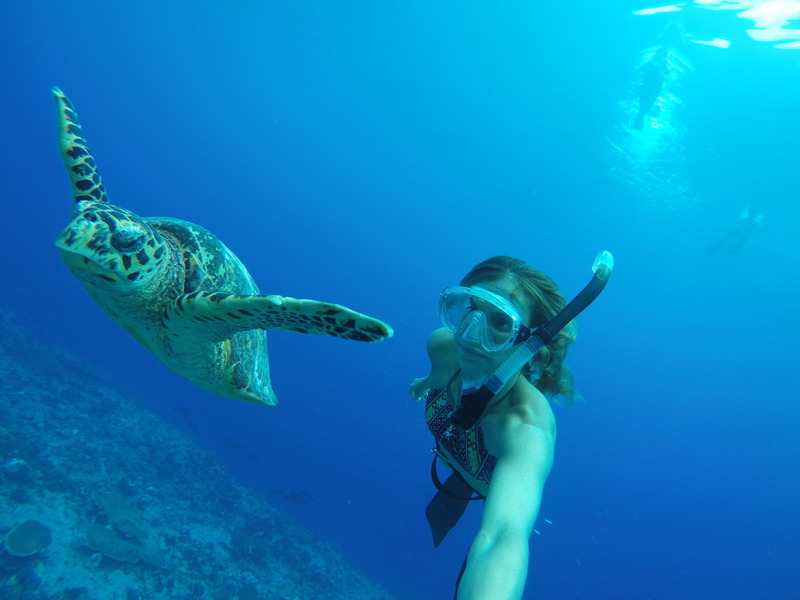 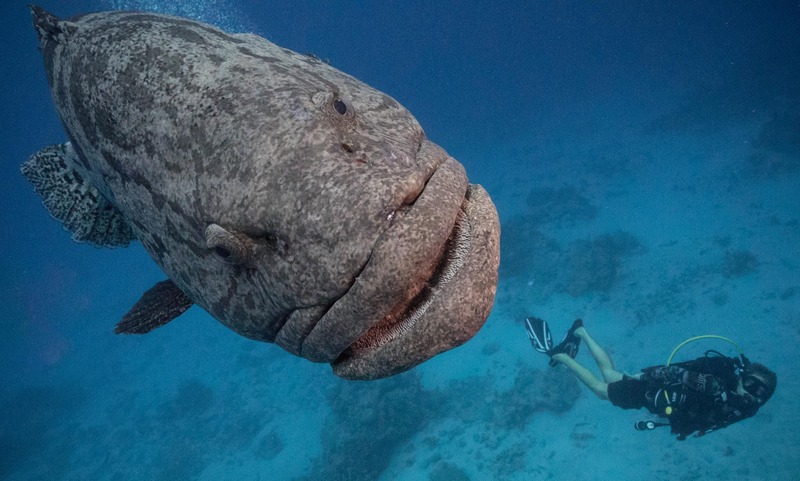 She boasts a Seakeeper stabilization gyro which limits sea sickness and wave motion! She also employs the Twindisc express joystick system which smoothly and simultaneously actuates and controls engines, transmissions, propellers and thrusters, which can hold the vessel in any fixed position, crab the boat diagonally or straight sideways and rotate it 360° on its axis. 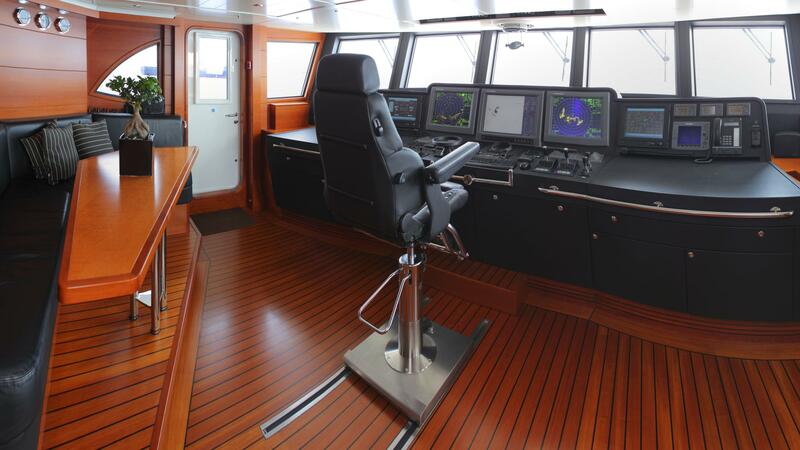 Divers’ platform with built in stern thruster, removable diver’s ladder with teak treads and duckboard with laid teak on top of platform. 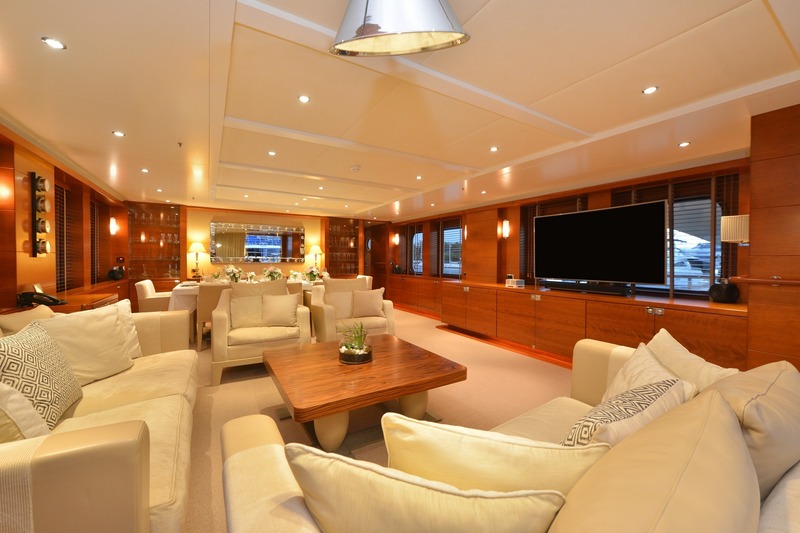 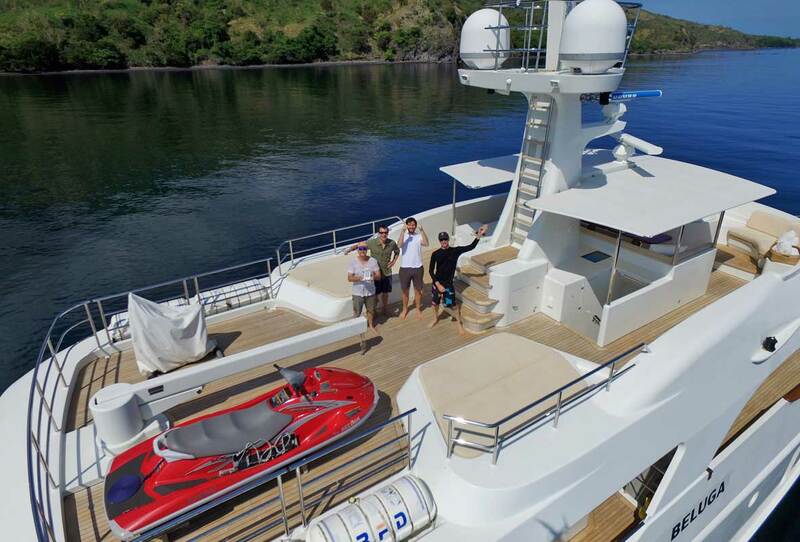 udio Visual Equipment and Deck Facilities: Foxtel satellite TV service (main areas and Master Cabin). 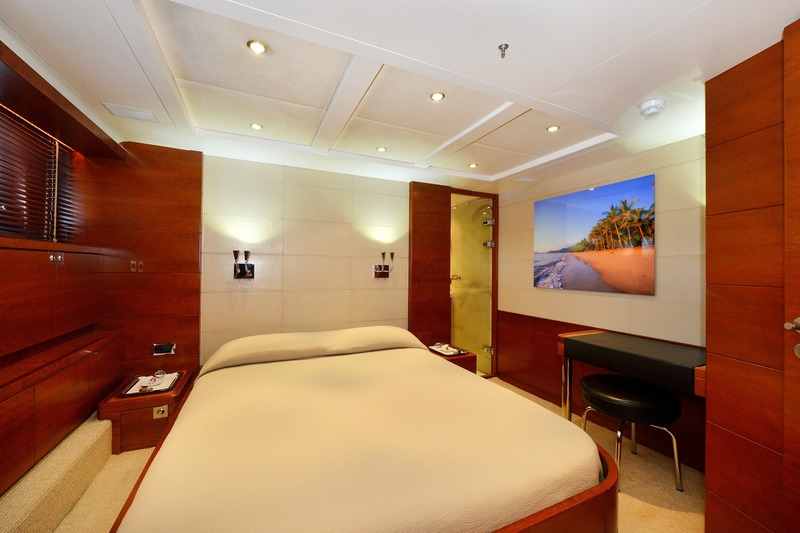 TV and DVD players in Lower Deck Cabins. 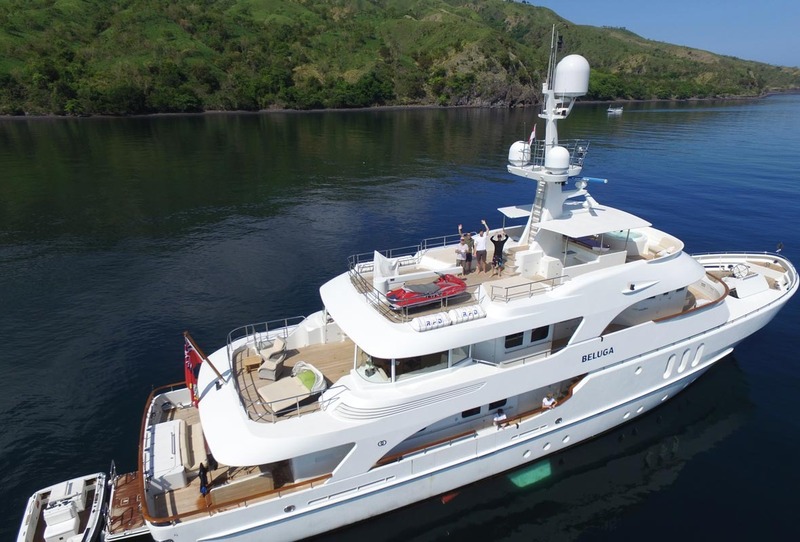 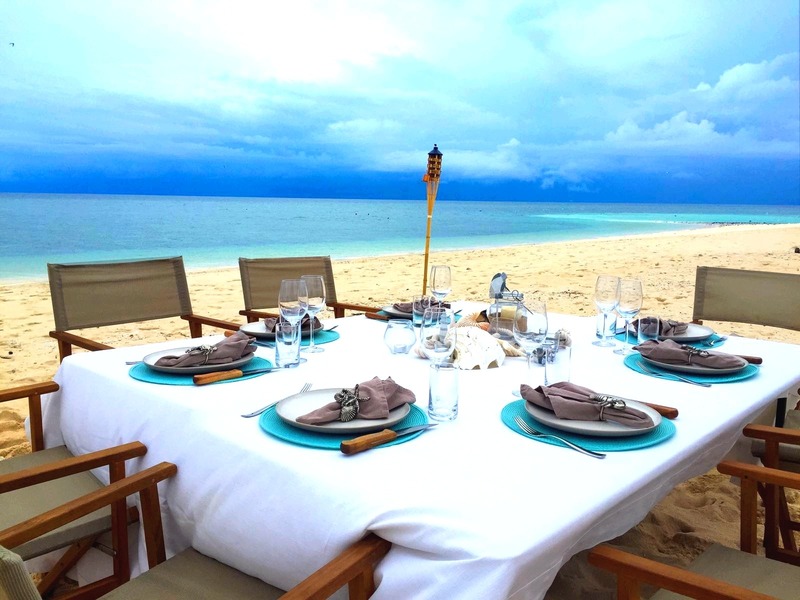 Flatscreen TVs throughout SONOS Entertainment system with movie selection and music: Main Salon, Bridge Deck and Sundeck Communications: Broadband VSAT internet in any location (unlimited data and supports Skype voice calls) VSAT is used 99% of the time around the islands. 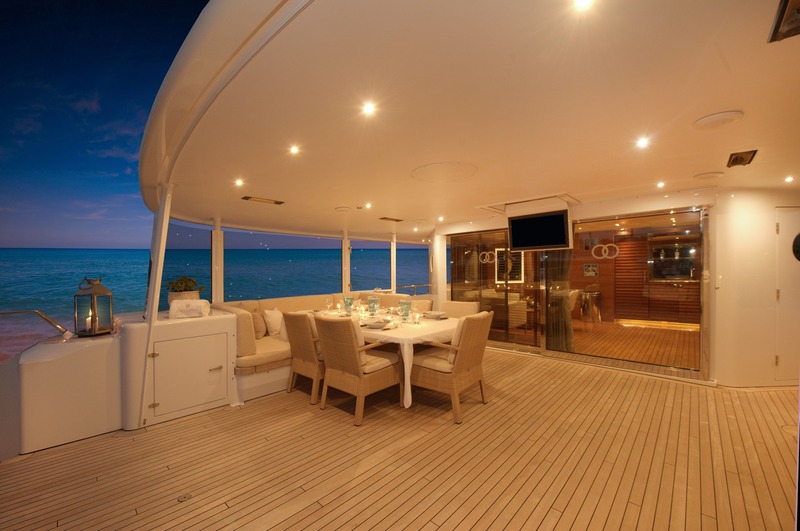 3G Internet via WiFi (basic use. 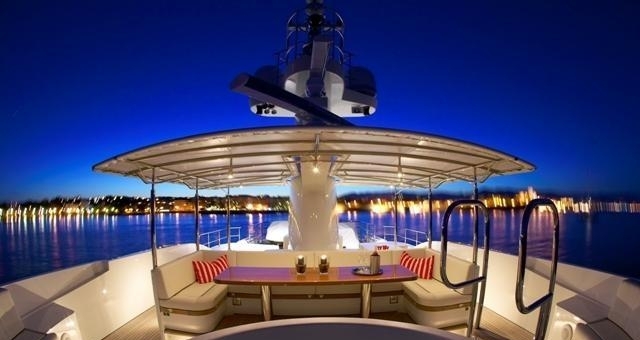 upgrade available) EU plugs - all adapters provided.